which churns out a set of 'desired and undesired effects' - or the good, bad and ugly of the different decisions. Is this a correct interpretation of what they're describing? Who/what would then make the choice based on results of effects analysis? Maybe this is where the brains of CAESAR come in? Or is the whole thing just one controller in the CAESAR system? Abstract. 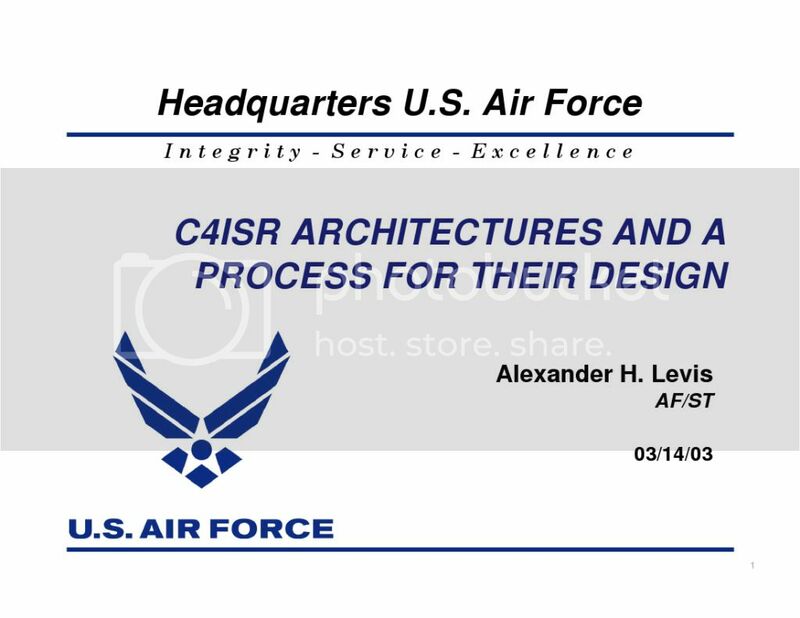 This paper explores the functions of a conceptual, future â€œwatch centerâ€� whose mission is to support Air Force information assurance requirements. 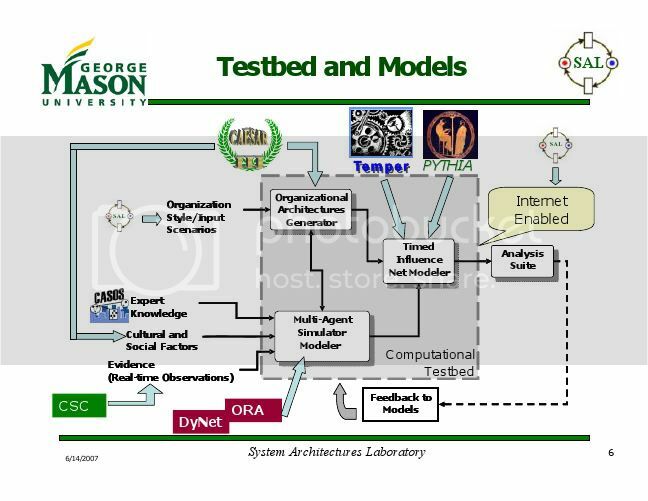 A cognitive systems engineering approach is described through the insertion of multi-sensory, user interface technologies may be accomplished. 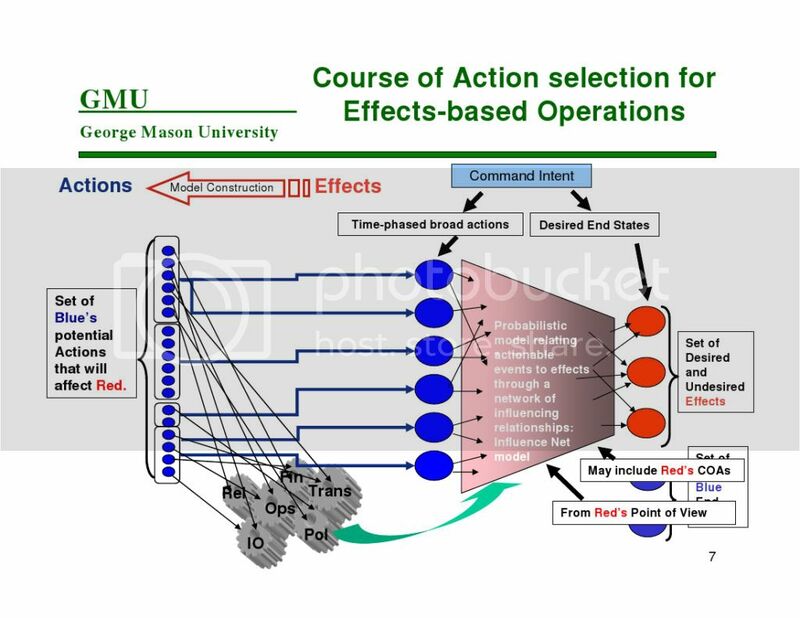 generating an overall information operations concept of operations (CONOPS) designating information operations command and control centers at the MAJCOM (major command) and Service levels equipping these centers to handle information operations performance demands The USAF Information Warfare CONOPS (December 1999) addresses the first of these tasks. Effort on the second task has resulted in various information operations centers being identified (e.g., USSPACECOMâ€™s Joint Task Force-Computer Network Defense, MAJCOM network operations and security centers, numbered air forcesâ€™ Information Warfare Flights). This article addresses the third required task by outlining the key research topics and introducing our research program (â€œCyber Warriorâ€�) to develop advanced technologies enabling information operations staff to achieve information superiority. 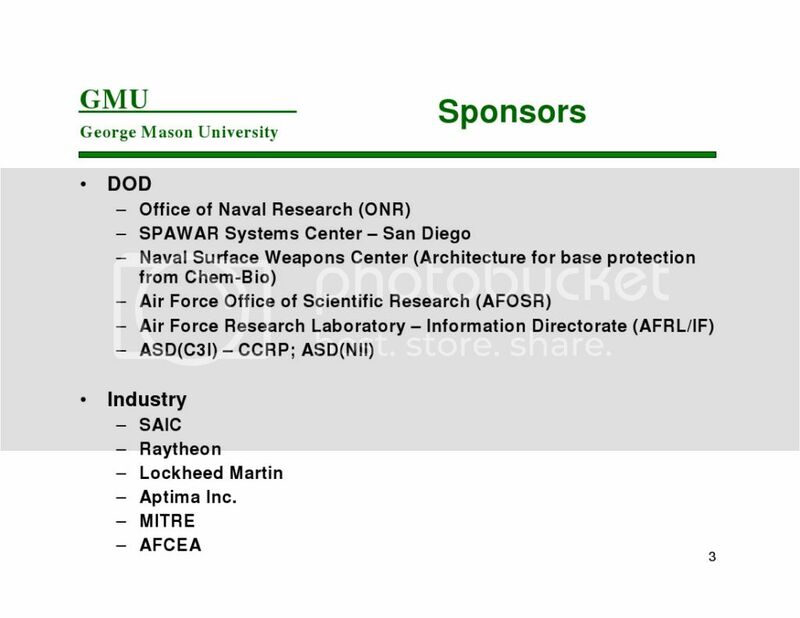 These advanced technologies are discussed in the context of a prospective information operations â€œwatch centerâ€�providing the Air Force battlespace management capability in overseeing and conducting defensive information warfare (DIW) operations such as (e.g.) attack assessment and response management. Lower echelon centers will report to this center, which will coordinate with its counterparts in the other Services and report upward to one or more DoD-level centers. The watch centerâ€™s central position in the USAF IO infrastructure makes it the primary USAF clearinghouse for IO data reachback. Other USAF operational units will be able to reachback to the watch center to learn of current and projected system status and posture, as well as to maintain situational awareness on relevant events. In addition, this reachback capability is required for the watch centerâ€™s own operations. Owing to the watch centerâ€™s responsibility for global Air Force information operations, its personnel may be detailed anywhere in the world supporting USAF theater missions. 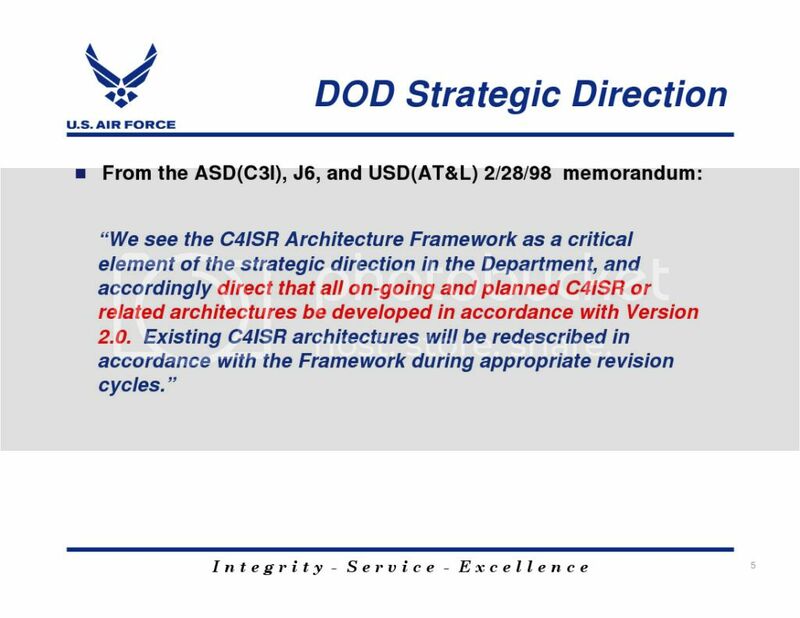 Because these â€œforward deployedâ€� staff will need to draw on watch center resources, the center must afford efficient reachback for its own staff in addition to other USAF units.The watch center would perform its most critical functions during an information attack against Air Force information systems (Kuperman, 1998). Functional requirements can be subdivided into three categories based on the three phases of attack events (pre- / trans- / post-attack). The following sections provide an overview of watch center functions for each of these three phases. Pre-Attack Phase: This is the default or background context of continuous watch center operations. The watch center will monitor and report the current status and readiness of lower echelon systems and networks. 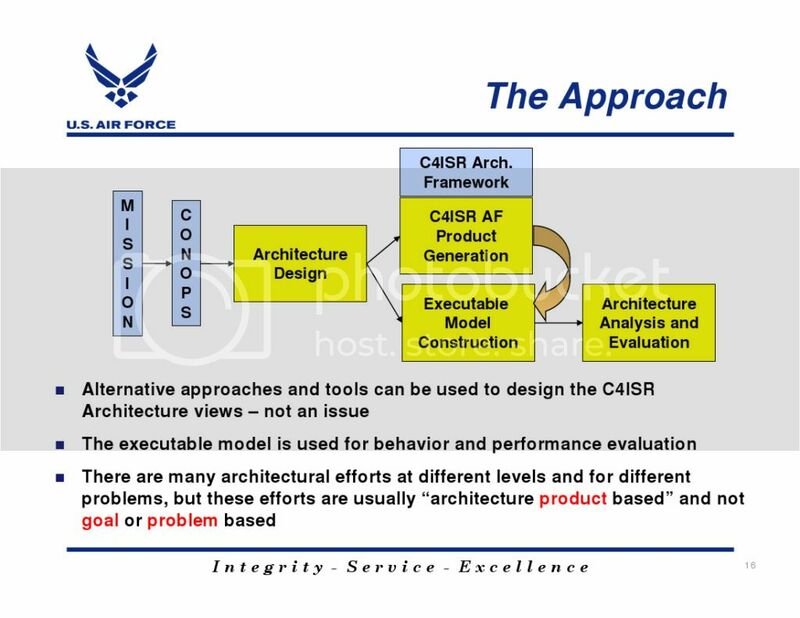 The scope of protective monitoring will be established and maintained through link and node analyses of USAF information assets, prioritized with respect to the assessed mission criticality of the functions they perform. Intrusion detection sensors installed on USAF information systems will feed a constant stream of data captured and analyzed by intrusion detection, network mapping and monitoring tools. Any unusual patterns of activity will become the subject of alerts to (e.g.) system administrators. Intelligence and open sources of information indicating changes to threat posture and capabilities will be assessed as evidence for impending attacks. This assessment will employ threat knowledge bases documenting the capabilities and methods of potential sources of information attack. Trans-Attack Phase: Identifying, characterizing, and assessing the objectives of emergent attacks will be a critical watch center function. Attacks may be isolated discrete events or sets of multiple events distributed over both time and space, perhaps combining multiple attack methods. Incident reports (IRs) from lower echelons will be received, correlated and assessed. If an attack event is recognized, the watch center will generate a best assessment of its nature, source, and objectives. 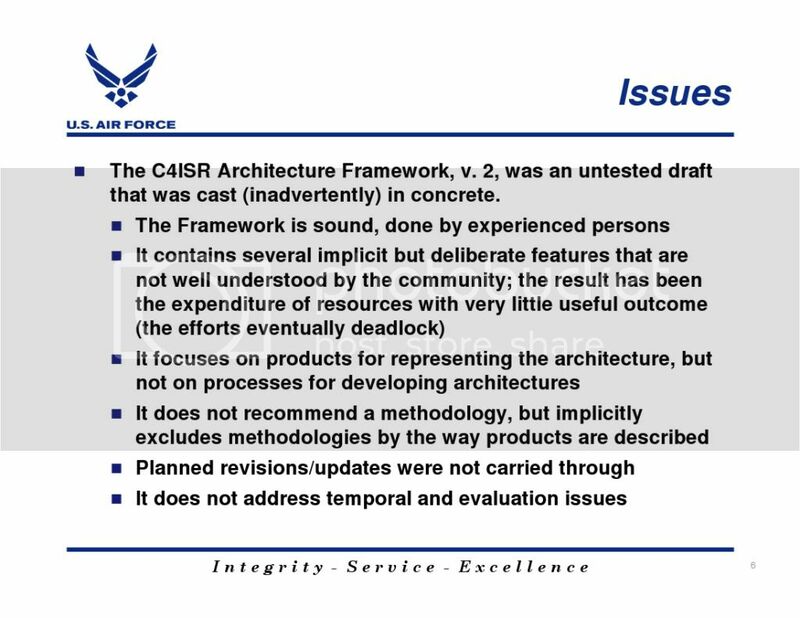 Minimizing damage to or disruption of USAF information processing capabilities will be the primary criterion in response selection. Defensive responses appropriate to this criterion in the context of the assessed attack will be recommended and, depending on the rules of engagement, implemented. Post-Attack Phase: Managing the recovery and reconstitution processes would be the major post-attack function of the watch center. The direct effects of the attack would be mitigated, information-processing capabilities would be restored, and Air Force mission capabilities would be reestablished. 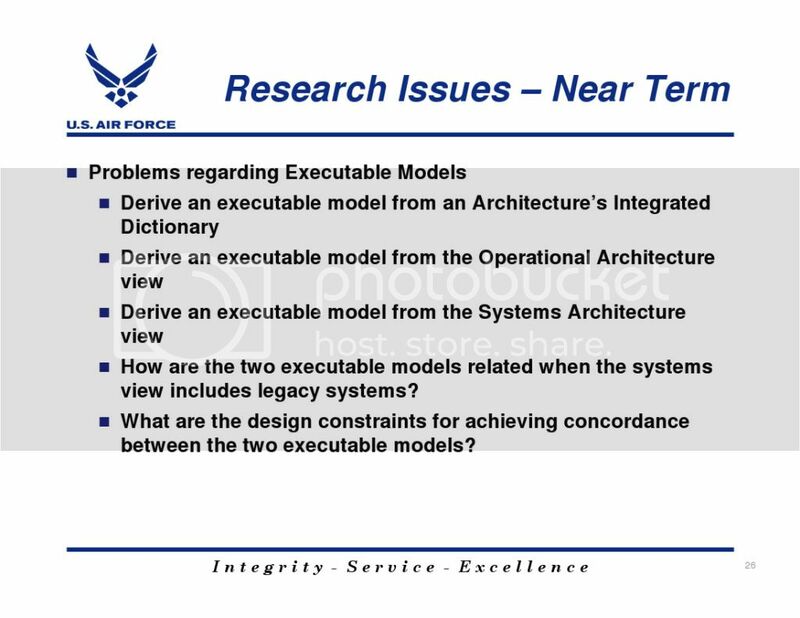 The watch center would provide USAF-wide status information on attacked resources and update its threat (and other) knowledge bases to increase its ability to recognize subsequent operations. The watch center functional characteristics outlined above all pertain to data and information processing. Watch center personnel will be making critical decisions under intense time pressures, relying all the while on the data and information at hand. As such, watch center operations entail a high degree of cognitive activity on the part of staff members. The implications of this cognitively intensive work are discussed in the next section. â€œInformation warfare, in its essence, is aboutâ€¦the way humans think and, more important, the way humans make decisions.â€� (Stein, 1996) Effective information operations entail some of the most extreme warfighter demands ever encountered. This is especially true for information operations, where the prospects include the fastest, most numerous, most anonymous, and most rapidly reconstitutable attackers in military history. 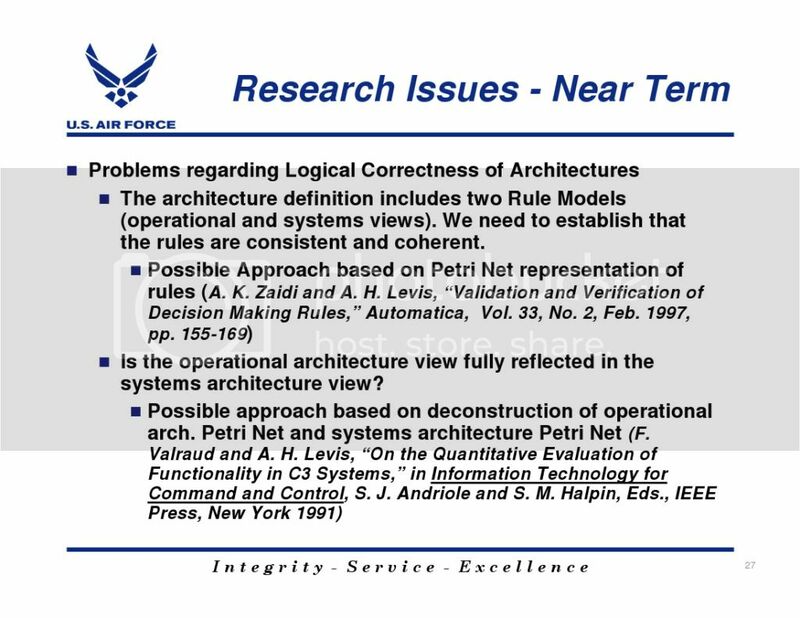 The information operations mission must be accomplished in an environment (â€œcyberspaceâ€�) where â€œfogâ€� is common and routine access can become pure â€œfriction.â€� Moreover, the operations tempo is marked in milliseconds, and this makes information operations the warfighting effort most reflective of Col. John Boydâ€™s (1987) analysis in terms of adversariesâ€™ OODA (Observe-Orient-Decide-Act) Loops. High performance information operations entail global situation awareness (SA), efficient threat identification, and effective attack assessment. To achieve these ends watch center staff must monitor, manage, and manipulate data streams and information artifacts large in number, high in complexity, and dynamic in the extreme. These activities, like the battlespace itself, are predicated on data, inference, and decision making. Information operations command and control is therefore a cognition-intensive missionâ€”i.e., one whose requisite burdens fall mainly on the abilities of warfighters (individually and in teams) to perceive, characterize, evaluate, and decide responses to threats. Our brief description of the watch center illustrates a number of areas in which the decision-makerâ€™s cognition is critical to operations. Moreover, thesekey areas each entail issues that remain open research topics. 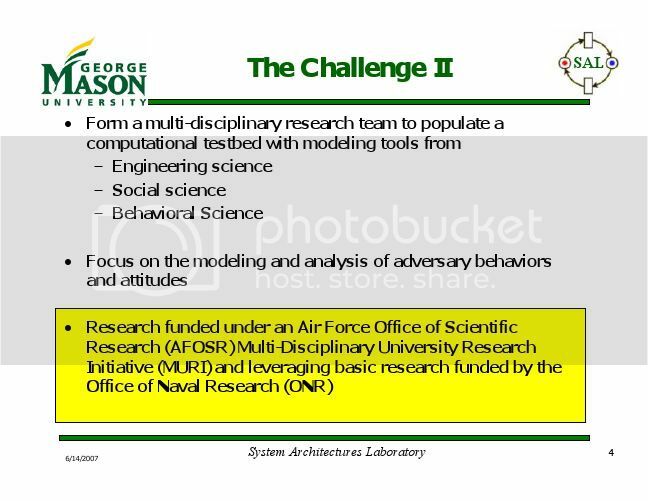 The following paragraphs offer an illustrativeselection of cognition-critical areas and issues deriving from relevant research at AFRL/HEC and elsewhere. Effective situational awareness must be obtained and maintained by a watch center staff that may be distributed all around the world. How effective situation awareness can be assured in this operational context remains an open issue. 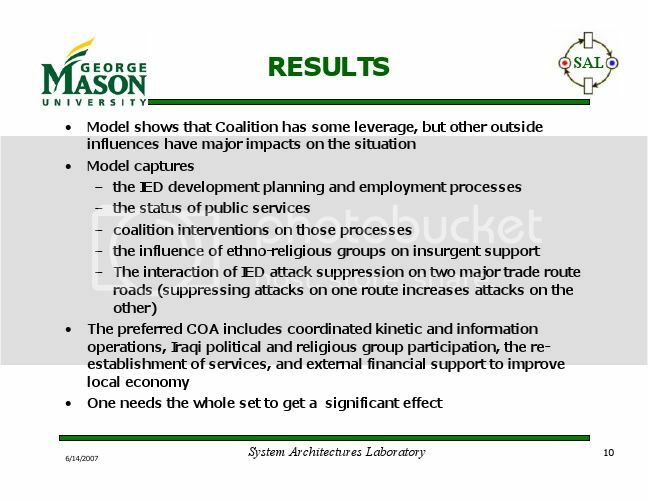 Bolstad and Endsley (1999) describe the problems associated with shared/distributed situational awareness and posit a research effort directed at their solution. 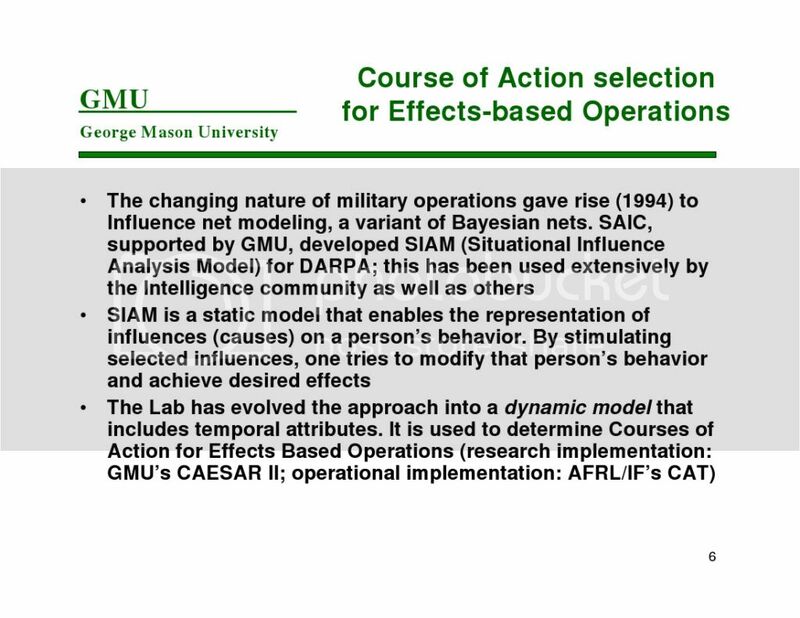 Prior AFRL/HEC-sponsored analysis of the Air Intelligence Agencyâ€™s Information Operations Center (Larsen, 1997) highlights factors impeding team situation awareness (e.g., loss of situational knowledge during shift changes). One key facilitator of distributed situation awarenessâ€”a common information space upon which all team members may focusâ€”mandates watch center technologies configured to provide staff such a shared information asset. 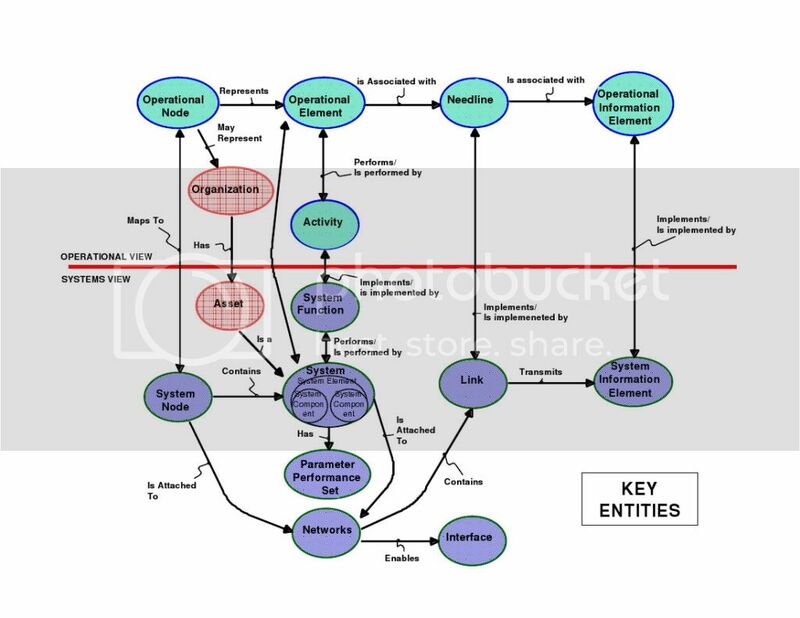 Overall situational assessment will be conveyed by the information condition (INFOCON) level (Harreld, 1998), a progression of assessed threat states. This assessment, based on recognition and characterization of emerging information attacks, will be particularly challenging since attacks may well exhibit multiplicity of time, source, technique, and target. This challenge is amplified by the fact that understanding the motivations and methods of cyber-attackers is itself a new topic of research (McCloskey and Stanard, 1999). 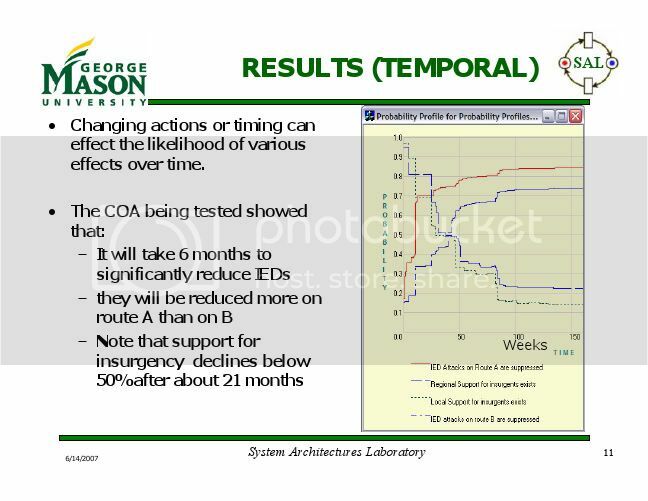 Response selection is a decision making task which will impose significant cognitive burden on watch center staff subject to extremely short response timeframes. This burden will be exacerbated by the need to deal with necessarily conflicting goals (Flach and Kuperman, 1998). For example, an obvious goal would be to minimize or mitigate damage to own-force information systems, which suggests taking an attacked system offline as soon as possible. This clashes with the goal of allowing the attack to continue so as to gather additional diagnostic data for the purposes of (e.g.) countermeasures selection and/or defensive adaptation. More generally, decision making is a challenging research domain. In the subject context (defensive response selection) the watch officer is pitted against an adversary of potentially unknown capabilities and intent. Llinas,et al. 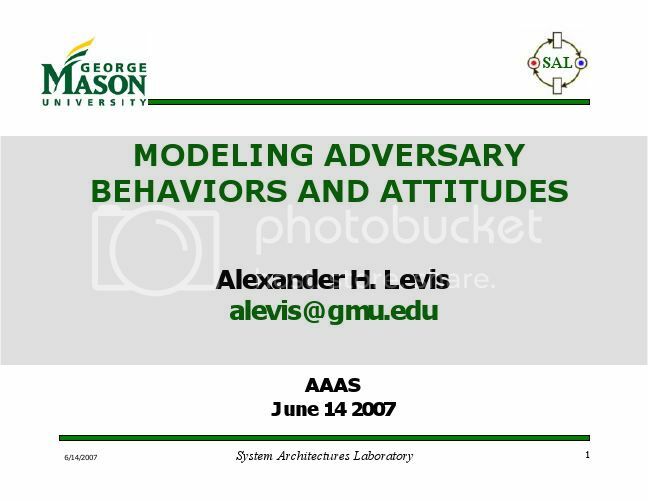 (1998) explore adversarial decision making in the context of information warfare. Their analysis identifies the human-centered issue of trust in automated decision support aids as critical in achieving a robust and acceptable balance in automated versus operator-performed functionalallocation. More generally, research in naturalistic decision making (Klein, 1997; Klein et al., 1989; Kuperman, 2000) can be leveraged to configure technologies to provide watch center staff with critical cues facilitating fast-paced decision processes. 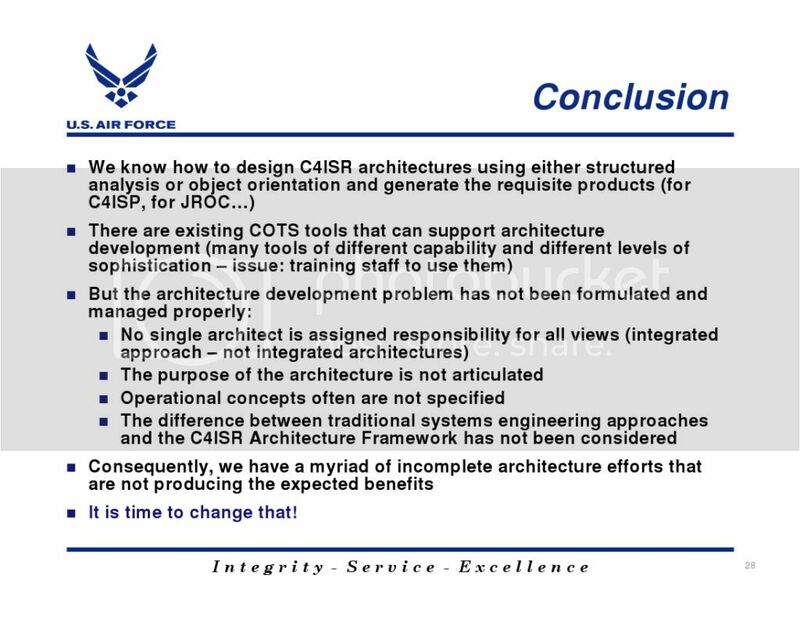 Moreover, such efforts can lead to more effective specifications for training watch center staff (Pliske et al., 1997)â€”an important payoff in light of DoD personnel reductions. Watch center warfighters will need information technologies that facilitate their grappling with the cognitive demands of the IO mission. This in turn requires that such technologies been specified with respect to the warfightersâ€™ informational requirements. 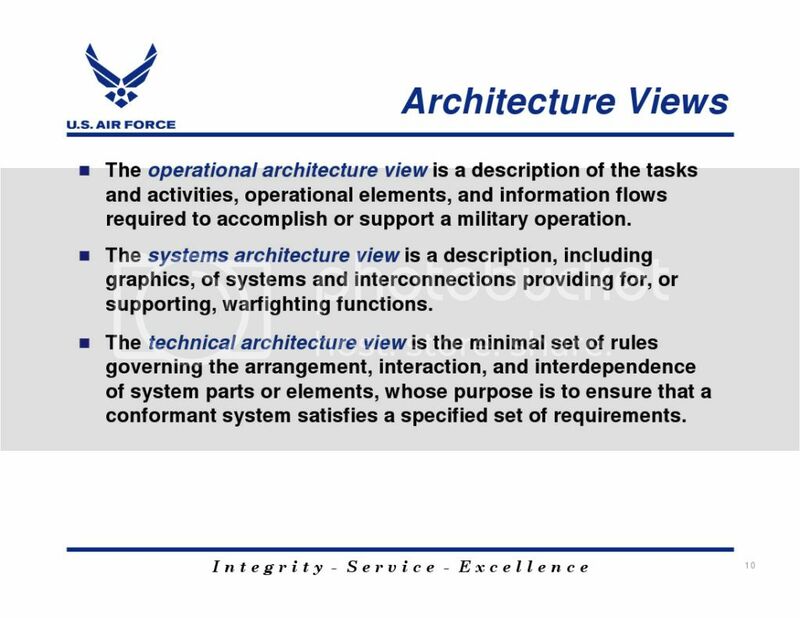 The next section will provide a summary review of watch center informational requirements as they relate to specific aspects of information operations. 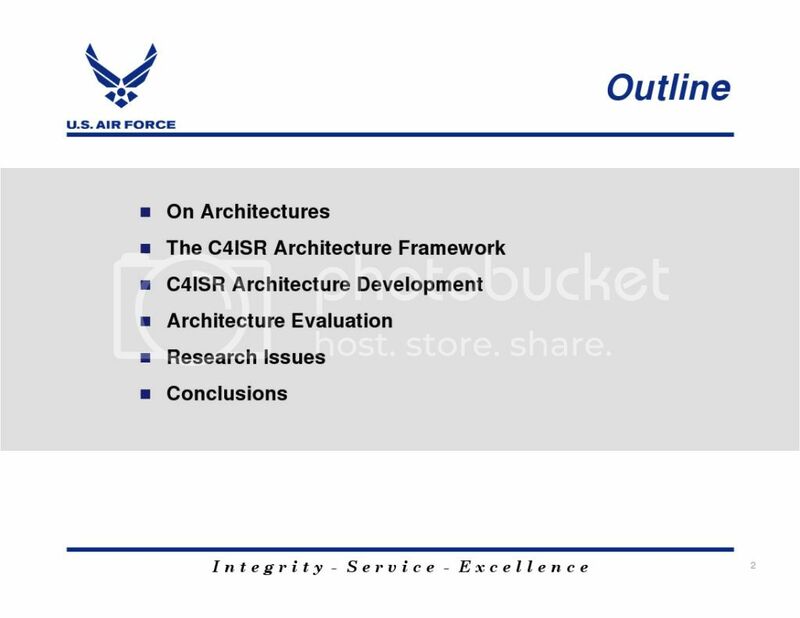 After this review, we shall introduce and discuss our advanced development project (â€œCyber Warriorâ€�), which is planned to meet these information requirements via technologies developed for USAF IO watch centers. Cognition entails information processing. Cognitive demands are imposed in proportion to the mass of information with which warfighters must process, and these demands are alleviated to the extent this informational mass is reduced to only that optimum amount necessary to accomplish a given decision making task. In this section, we shall review some of the key watch center information elements we have already identified as crucial research and development topics. 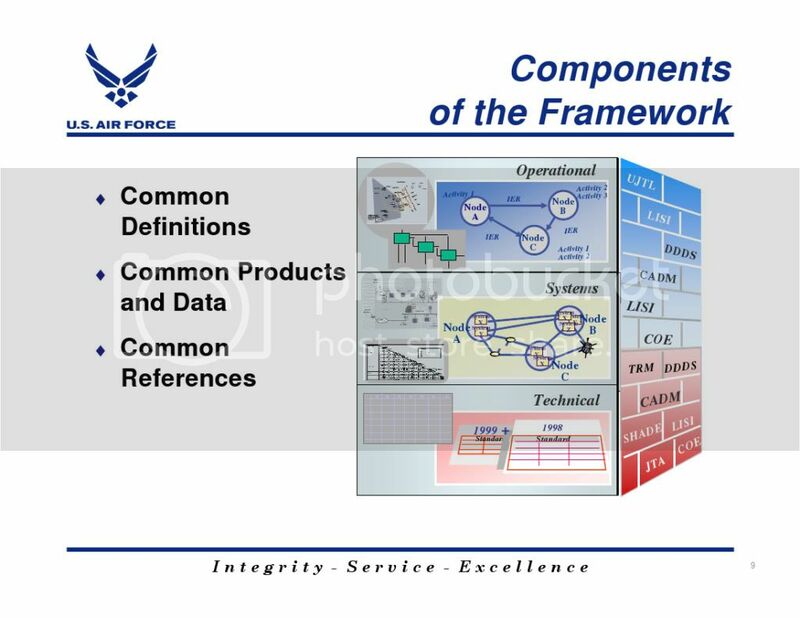 A central point of reference in Battle Management/Command, Control, Communications and Computers, Intelligence, Surveillance, and Reconnaissance is a shared or mutually accessible model of the domain in which operations are conducted. Historically, this model has been provided in the form of a geospatial map (e.g., a 2D cartographic product on a wall or a 3D model on a table). In information operations, the battlefield is that paradoxically non-spatial â€˜spaceâ€™ of objects and actions colloquially labeled â€˜cyberspaceâ€™. 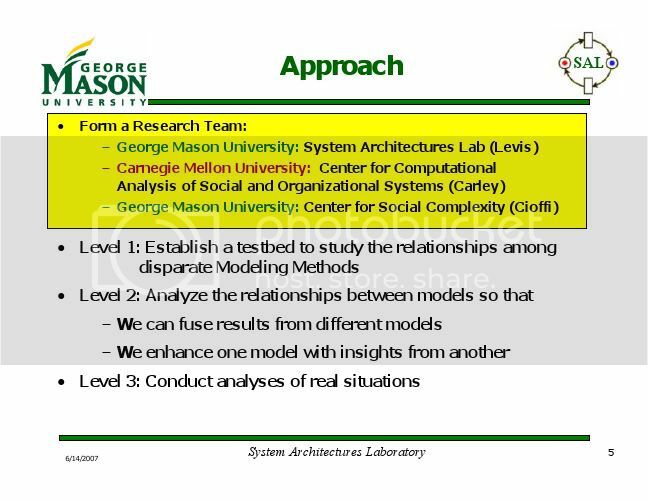 Modeling â€˜cyberspaceâ€™ is considerably less straightforward than modeling â€˜geospaceâ€™. â€˜Geospaceâ€™ provides for absolute location (i.e., one object in one place at one time). Such a fixed condition is relatively unknown in cyberspace, unless one prioritizes physical elements (i.e., computers; cables) as the main objects of interest. For the most part, â€˜cyberlocationâ€™ is a matter of changeable and relative coordinates (e.g., IP addresses, domain names, URLs). What, then, would be the foundation of a useful map of cyberspace? In information operations, the minimal object of attack is a particular computing platform. This happens to be the constituent element comprising the maximal object of attack (the network). Our research testbed includes an interactive Datawall arrayâ€”a large display/manipulation surface developed at the Air Force Research Laboratoryâ€™s Information Directorate. The Datawall, as a large display surface, affords us the capacity to present operators with relatively large and complex graphics. 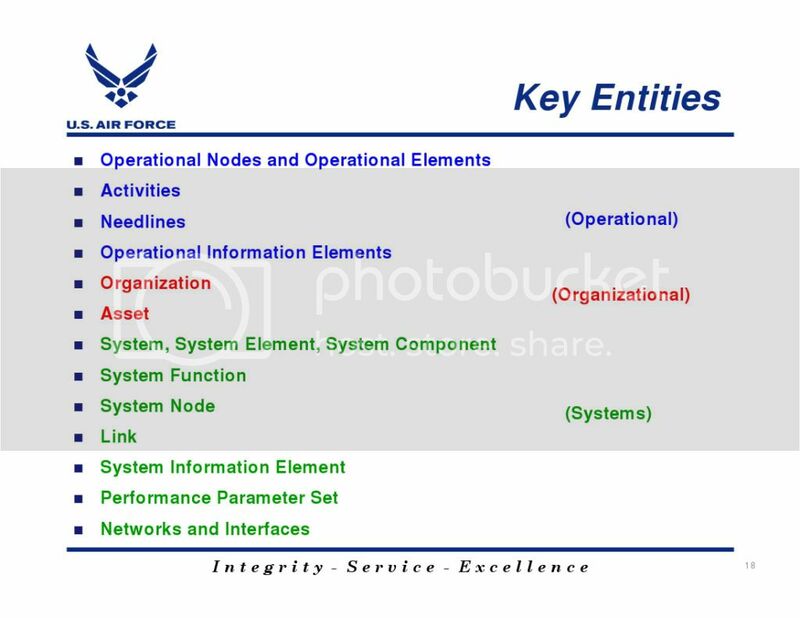 It is straightforward to conclude that a â€˜network mapâ€™ depiction of own-force computer systems and their interconnections is a good default candidate for a battlespace map. Such a map would be complex given the number of platforms. Furthermore, operators and analysts will probably need to â€˜zoomâ€™ in and out so as to address multiple ranges of network assets based on (e.g.) extent of attacks or disruption. The IP addressing scheme consists of a single composite numerical string subdivided into four segments. These four segments index network assets (i.e., computing platforms) down to the level of individual computers. This addressing architecture could be exploited as a simple â€˜zoom hierarchyâ€™, by allowing operators to select a representational scope equivalent to one or another of the segments. Because the IP addressing architecture is a strict hierarchy, one should only need to index a higher level to address the entire set of IP addresses subsumed beneath that level. 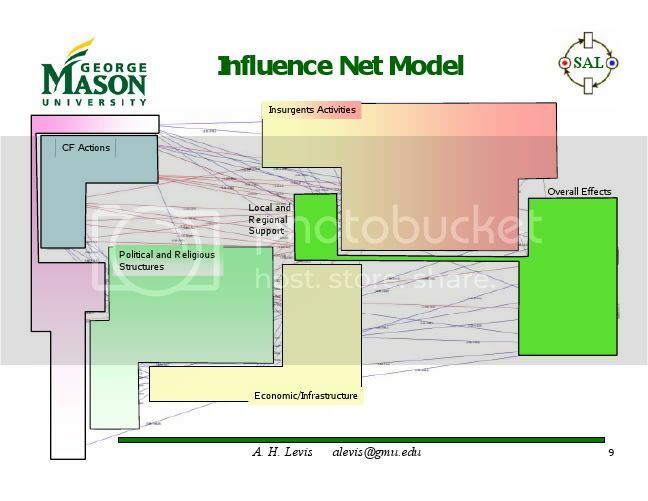 As a result, the IP architecture provides an organization amenable to â€˜drill-downâ€™ using a graphic representation of each level (top to bottom), with specific subsets being addressable via â€˜point and clickâ€™. As such, we are focusing upon IP addressing being employed as the default organizational principle for the main Datawall network map. This does not preclude other options. However, at this very early stage this option is attractive for its simplicity and universality of application. It should be clear that the range of possible criteria for sorting and indexing platforms may prove arbitrarily large, as would the number of individual / specialized â€˜mapsâ€™ necessary to provide each and every such criterion to the operator(s). It should be similarly clear that trying to provide a huge list of all possibly useful â€˜mapsâ€™ would prove a cognitive burden on the user as well as a burden to the information technologies handling these materials. 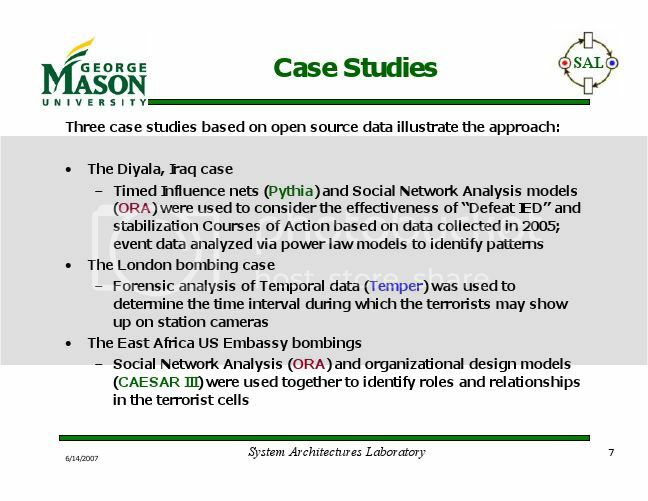 In addition, it is reasonable to suppose that circumstances may warrant combinations of distinctions (e.g., the set of all intellignce platforms subject to a specific type of attack)â€”a prospect which would radically increase the number of individual â€˜mapsâ€™ necessary to address the range of potential situations. What we need is a modular set of â€˜overlaysâ€™ or â€˜filtersâ€™ which could be freely combined atop a basic network map to afford operators the ability to rapidly â€˜sortâ€™ or â€˜sliceâ€™ their object(s) of primary reference in accordance with their immediate needs. The â€˜lensâ€™ metaphor developed in the Pad++ system (Bederson and Meyer, 1998) provides a good candidate approach to this problem. The peculiarities of cyberspace preclude strong parallels between defensive details in that domain versus (e.g.) â€˜geospaceâ€™. There is, however, an obvious parallel involving own-force / own-system defensive posture. Some clear and unambiguous depiction of current â€˜INFOCONâ€™ and â€˜THREATCONâ€™ status (and perhaps even â€œDEFCONâ€�) should be a canonical component of the Datawall data presentation(s). 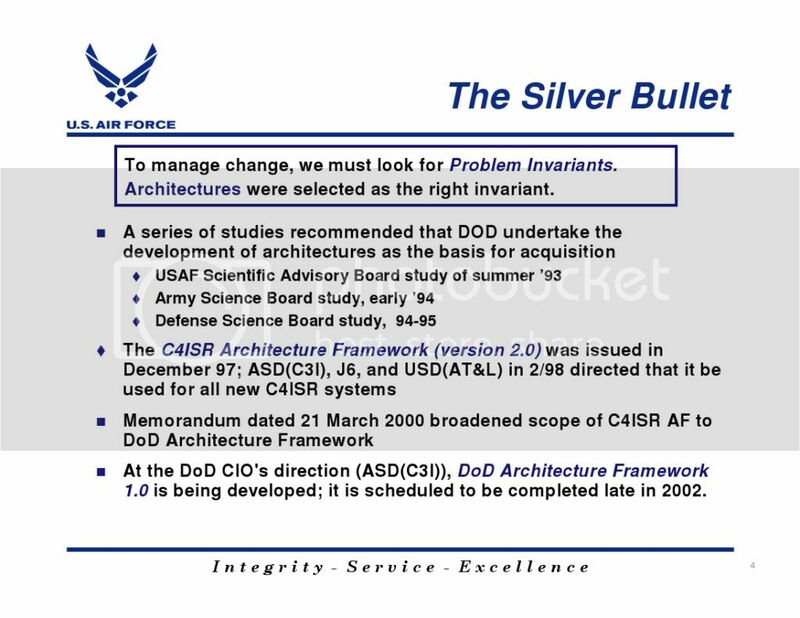 At the date of this writing, it remains unclear what the final form of USAF INFOCON protocols will be. Similarly, the optimum means for providing watch center warfighters with THREATCON and INFOCON status is an open issue. The information and display engineering for effective THREATCON / INFOCON presentation is therefore an important part of our project. 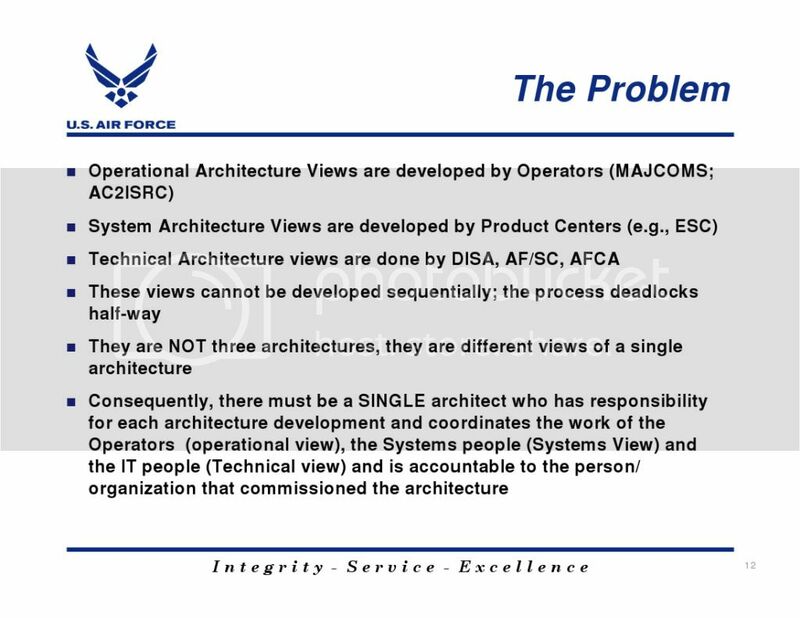 Any one operations center is not the sole player in USAF information operations. 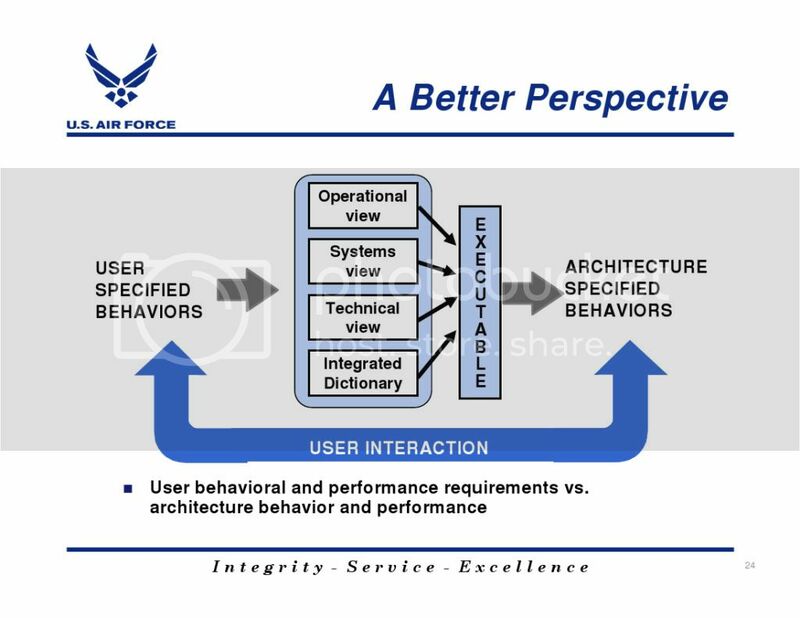 Within USAF, each center must interact and interoperate with other organizations. Externally, the â€œglobal-levelâ€� watch center is the nexus of USAF contact with other non-USAF watch centers, both military (e.g., DISA) and non-military (e.g., FBI). The extreme speed of changes within the IO battlespace mandates measures to minimize inefficiencies in cross-unit coordination and collaboration. Further analysis and simulations will be needed to illuminate how watch center technologies can usefully promote â€˜cross-agency situation awarenessâ€™â€”e.g., by displaying data relating to what other watch centers are doing. This could be as simple as a pop-up window showing the INFOCON status of each collaborator located elsewhere than the watch center. Another important issue for display planning concerns the distribution / allocation of data rather than the data itself. In the second-generation JFACC After Next testbed at Rome, the Datawall array is installed at the front of a room populated with several rows of desks, each holding multiple operator workstations. This testbed was specifically designed to allow for many operators performing individual tasks at individual workstations in addition to whatever was being done with Datawall itself. Large as it may be, the Datawall does not provide infinite display â€˜real estateâ€™. Furthermore, there may be considerable amounts of data which are specific to one or another operatorâ€™s duties, and therefore not appropriate for Datawall display to the overall watch center team. It is likely to be a persistent issue as to which and how much data should be allocated to the large / group display, and which and how much data should be allocated for individual operatorsâ€™ workstations (whatever form those workstations may take). 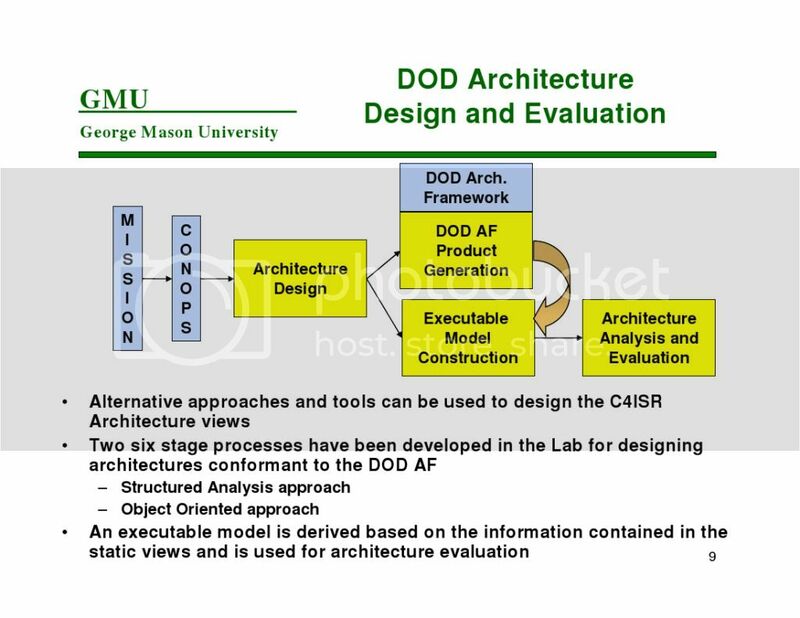 The allocation of one or another data element / data type to one or another non-Datawall device may shift during the course of the proposed work. For example, some data initially displayed visually on the large screen may later be delivered to operators via headsets (i.e., as audio streams) or virtual reality apparatus (some years hence). It is also likely that during the projected course of Datawall work, the proportionate â€˜mixâ€™ of individual versus group display demands may shift. As a large-scale interface facility in use by a watch center crew, Datawall presents issues of coordination among the people interacting with it. For example, sharing and/or turn taking protocols regarding remote laser pointers (and subsystem control protocols, in general) need to be both supported and reinforced by the specifics of the arrayâ€™s functionality. Unless headsets and microphones are exclusively employed, speech interaction with Datawall may require attention to turn taking to prevent background noise interference with the speech interfaceâ€™s operation. 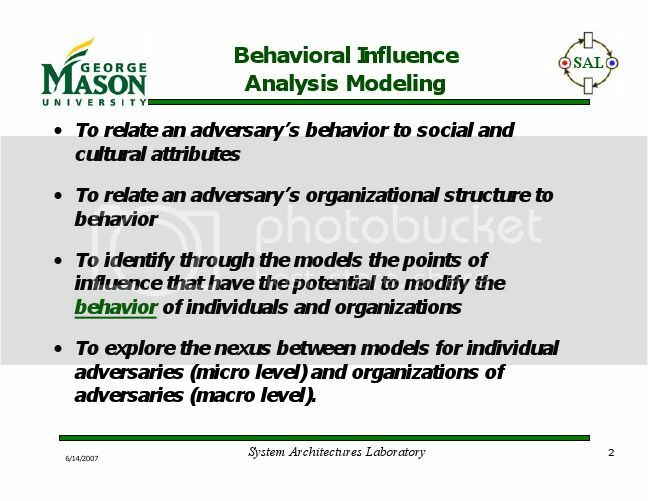 A common tactic for maintaining intra-team interpersonal situational awareness has been graphic presentation of data cueing individuals on (e.g.) whose turn it is and/or whether anyone â€˜has the connâ€™ (e.g., a highlighted personal icon indicating whose turn it is). The necessity of addressing this issue is clear. However, a final decision on whether to implement such capabilities and the details of any such capabilities implemented will have to await further clarification of specific applications and modes of operator interaction. In summary, the general information support requirements of the watch center will be numerous and complex. 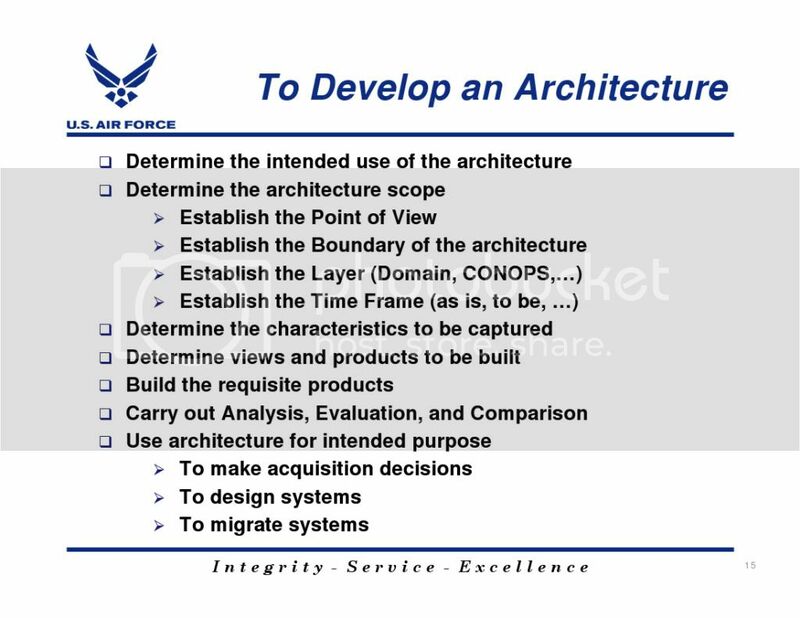 The reason we have stated these requirements so generally is that the specifics of their implementation must await and be tailored to fit the details of the relevant CONOPS, tasking, organizational structuring, training, and deployment of USAF IO units. Because research and development may well proceed in parallel with deployment, programmatic planning must be undertaken with this in mind. In the next section, we shall introduce our research program (â€œCyber Warriorâ€�) and explain how it has been structured toaddress this situation. Support global reachback and forward deployed decision makers by designing for real-time networked operations. Provide warfighters with information presentation and manipulation capabilities beyond those currently afforded by workstations (e.g., 3D audio, large-scale group displays, alternatives to the â€˜mouseâ€™). Provide commanders the ability to operate in a natural style unrestrained by proximity to a desktop workstation. These target capabilities are being developed so as to implement two key innovations. 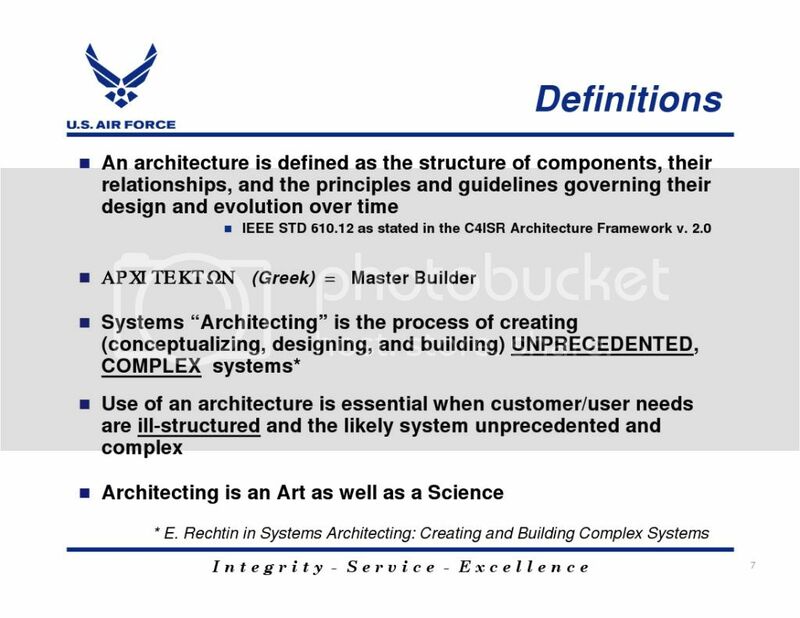 The first innovation pertains to the effortâ€™s products themselvesâ€”i.e., to explicitly design systems to support a distributed, collaborative team environment affording warfighters the optimized worldwide situational assessment and risk assessment capabilities required to successfully defend USAF information resources. 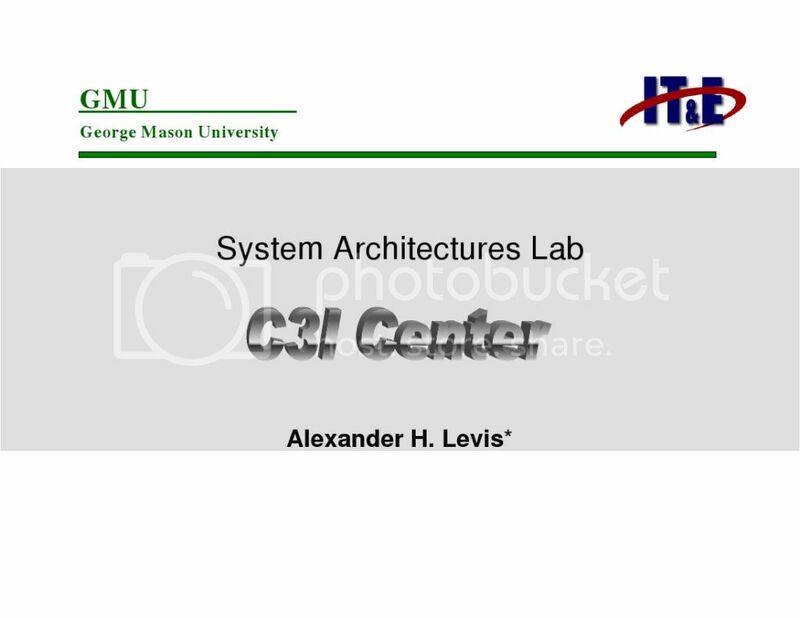 The second innovation pertains to the process of achieving the first innovationâ€”i.e., applying a cognitive systems engineering approach (explicitly focusing on human information processing and decision making) to effect human-centered software support via â€œactive user interfacesâ€� (Brown, Santos Jr. and Banks 1999) employing a combination of intelligent agents and user models. â€œCyber Warriorâ€™sâ€� payoffs lie in maximizing crew performance through decision-optimized system design. 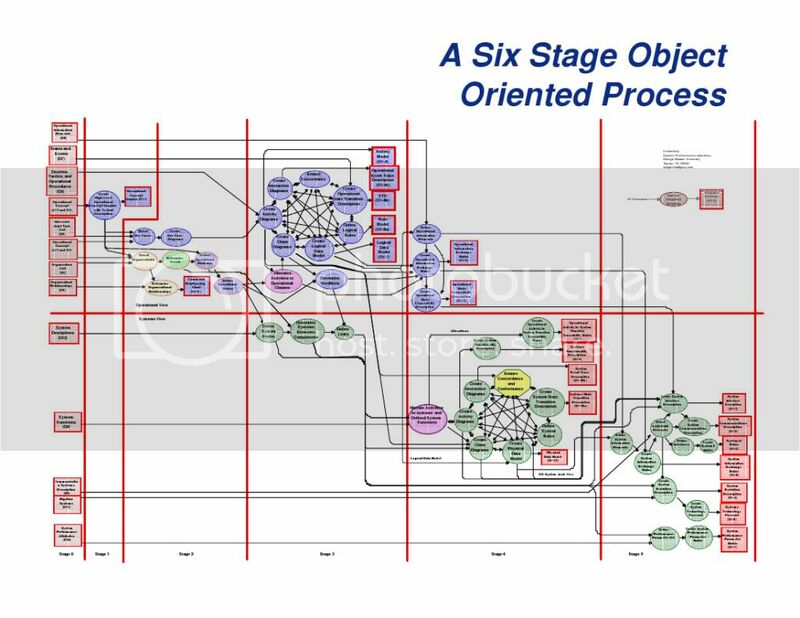 Our project plan delineates â€œCyber Warriorâ€�technology development approach as a recursive spiral development process with a â€˜cycle timeâ€™ of 12 months. The recursiveness is intended to allow feed-forward of results for incremental improvement. The 12-month cycle frequency will allow Cyber Warrior to demonstrate its state-of-the-art, integrated hardware and software technologies in warfighter exercises such as JEFX. 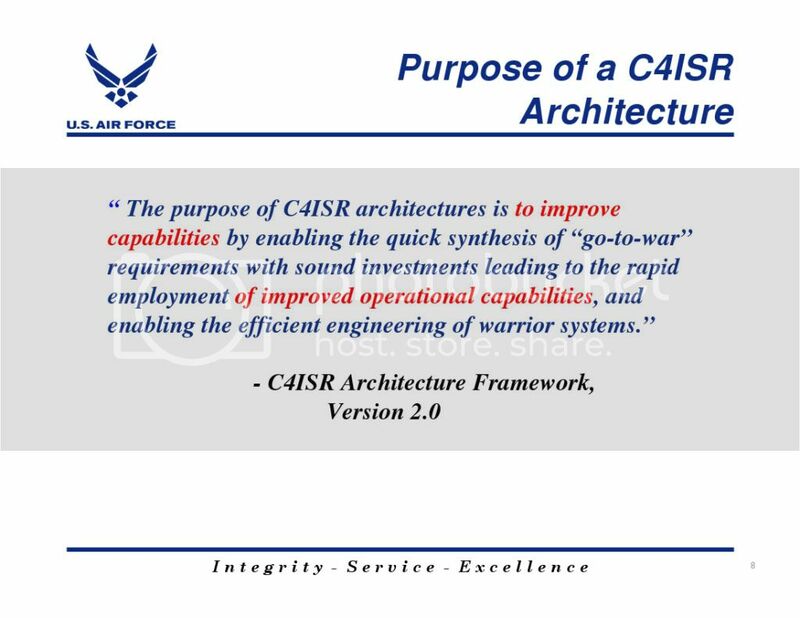 â€œCyber Warriorâ€™sâ€œ end-state deliverables will include the design processes and a user-centered suite of software applications/tools and user-system interface hardware to support information operations command and control centers. 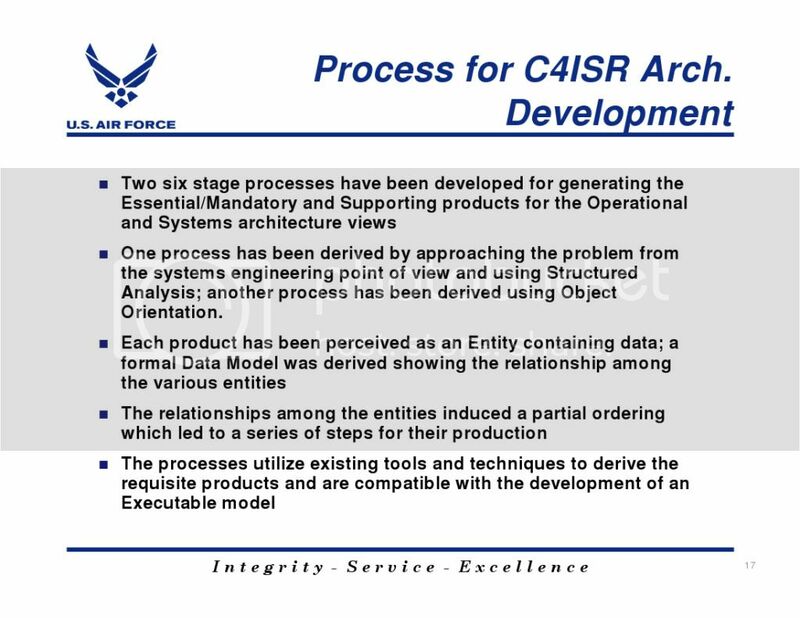 The first step toward these goals is being undertaken in â€œCyber Warriorâ€™sâ€� initial FY00/FY01 program, which will set the stage for rapid upgrading of both test bed and operational capabilities to produce and demonstrate significantly more advanced interface technologies than are currently available. 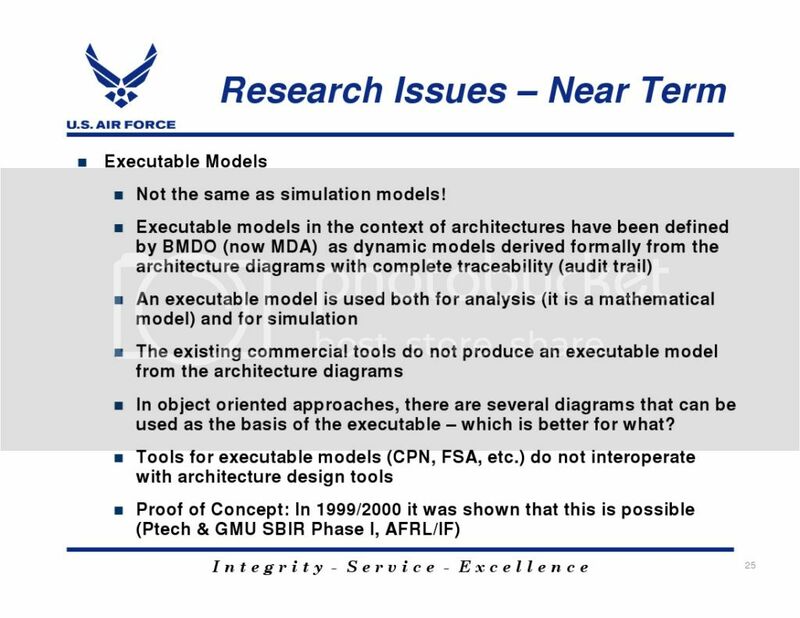 It will position us to specify, design, and test even more sophisticated capabilities in an orderly progressive mannerâ€”e.g., 3-D visualization and individual operatorsâ€™ environments by the close of FY05; distributed collaborative virtual environments and â€˜untetheredâ€™ operators by the close of FY10. More importantly, the FY00/FY01 program will generate a series of near-term products valuable to the ramp-up of USAF IO capabilities underway during this period, and thus contribute to meeting what we now recognize to be the most dangerous emerging threat to our national security. The â€œCyber Warriorâ€� program has begun the process of conducting a series of field data collections in support of the cognitively based design of a future information operations watch center. The functions of the watch center are new, complex, and evolving. The elicitation, representation and validation of domain expertise are crucial to achieving â€œCyber Warriorâ€™sâ€� advanced development goals. 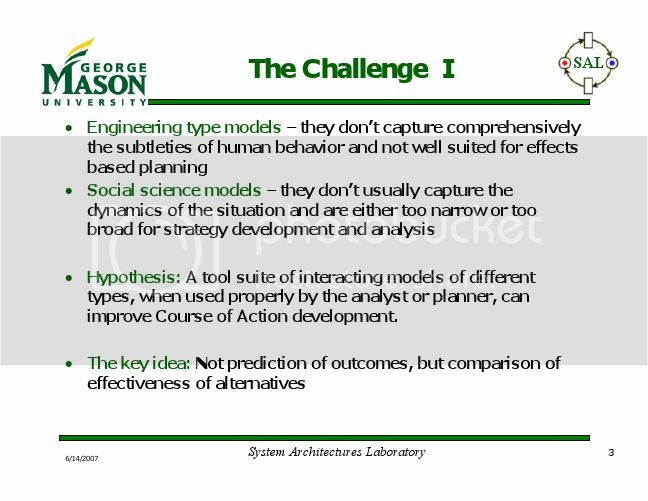 Characteristics of an effective field data collection methodology have been identified to include: capable of capturing (naturalistic) decision making events capable of discriminating between â€œexpertâ€� and â€œnoviceâ€� performance based on critical decision making approaches commercial-off-the-shelf maturity (semi-) automated. In accordance with these criteria, we have selected Klein Associatesâ€™ ACTA (Applied Cognitive Task Analysis) package as our primary tool for collating and processing the field data. The results will be fed forward to provide more detailed and structured analytical models for effective watch center operations. One example is the â€œCyber Warriorâ€� goal of generating specifications for the measures of outcomes, effectiveness, and performance most critical to IO functions. Bederson, B. & Meyer, J.,Software: Practice and Experience, 1998 (in press). Bolstad, C. A. & Endsley, M. R., â€œShared Mental Models and Shared Displays: An Empirical Evaluation of Team Performance,Proceedings of the Human Factors and Ergonomics Society 43rd Annual Meeting, September 27 â€“ October 1, 1999. Boyd, J. R. (1987),A Discourse on Winning and Losing, Air University Library, Report No. MU 43947 (unpublished briefing), Maxwell Air Force Base, Alabama. Brown, S.M., Santos Jr., E., & Banks, S.B., â€œActive User Interfaces for Building Decision-Theoretic Systemsâ€�, In Proceedings of the 1st Asia-Pacific Conference on Intelligent Agent Technology, Hong Kong, 1999. Flach, J. 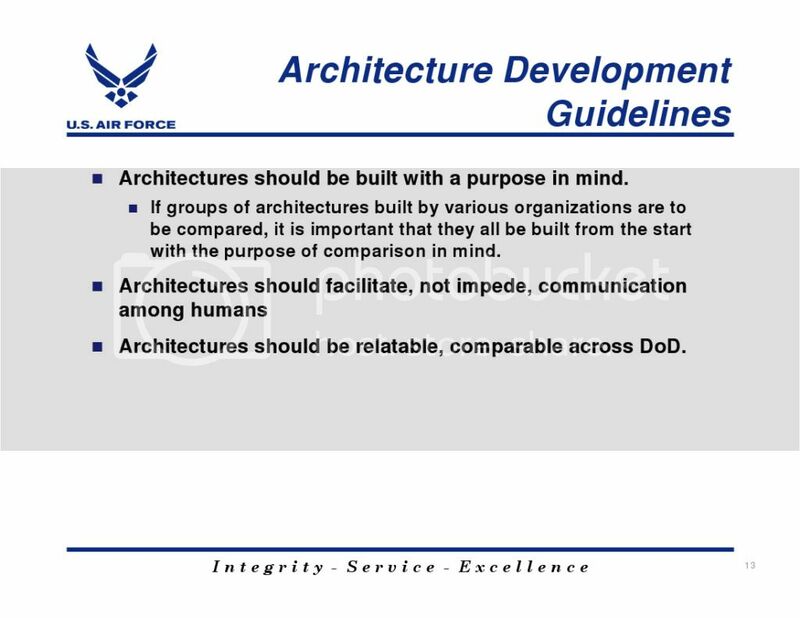 & Kuperman, G. G.,Victory by Design: War, Information, and Cognitive Systems Engineering, Technical Report, AFRL-HE-WP-TR- 1998-0074, Air Force Research Laboratory, Wright- Patterson Air Force Base, Ohio, February 1998. 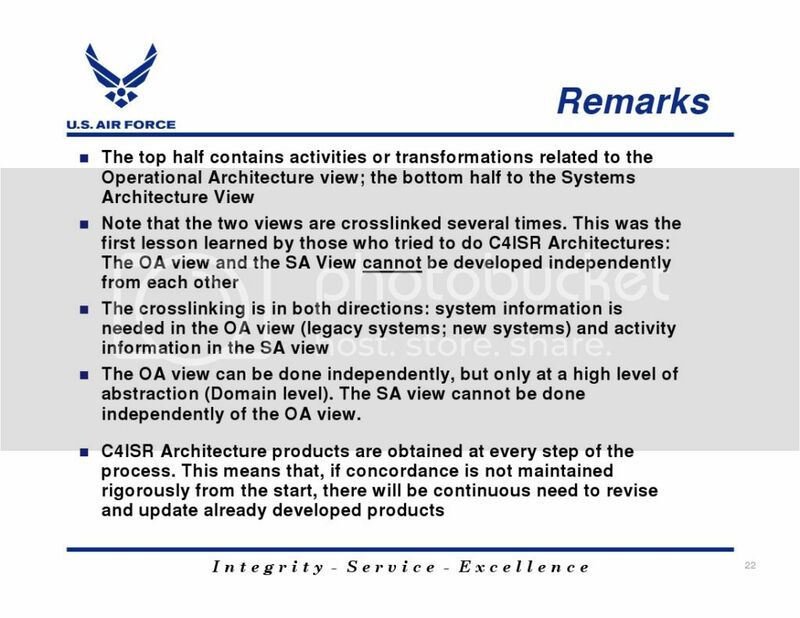 Grossman, E., â€œAir Forceâ€™s New â€˜Strategic Visionâ€™ To Include Global â€˜Vigilanceâ€™â€�, Inside The Pentagon, Washington DC, December 2, 1999 (page 1). Klein, G.,Implications of the Naturalistic Decision Making Framework for Information Dominance, Technical Report AL/CF-TR-1997â€”0155, Armstrong Laboratory, Wright-Patterson Air Force Base, Ohio, July 1997. Klein, G. A., Calderwood, R., & MacGregor, D. (1989), â€œCritical decision method for eliciting knowledge,â€� IEEE Transactions on Systems, Man, and Cybernetics, 19(3), 462-472. 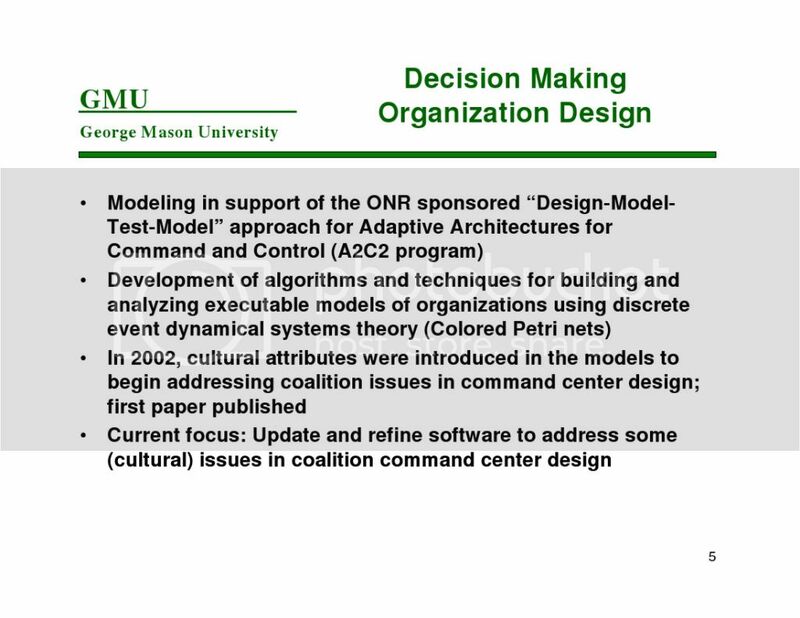 Kuperman, G. G., â€œCognitive Systems Engineering for Battlespace Dominance,â€�Proceedings of the Fourth Conference on Naturalistic Decision Making, The Airlie Conference Center, Warrenton, Virginia, 29 - 31 May 1998. Kuperman, G. G., â€œSelection of Field Data Collection Techniques,â€�Proceedings of the Fifth Conference on Naturalistic Decision Making, Tammsvik Conference Center, Stockholm, Sweden, 26 â€“ 28 May 2000. 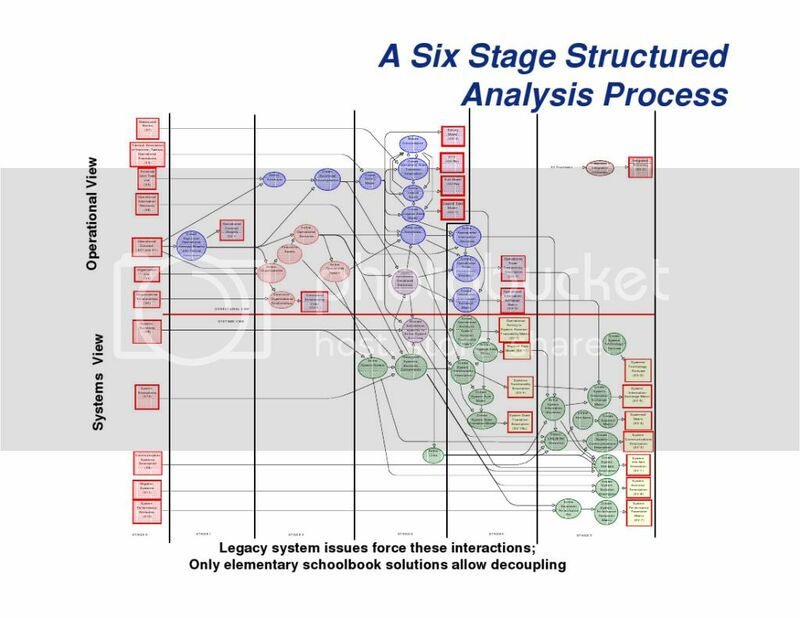 Larsen, G. J.,Event Sequence Analysis of the Air Intelligence Agency Information Operations Center Flight Operations, Technical Report, AFRL-HE-TR-1998-0057, Air Force Research Laboratory, Wright-Patterson Air Force Base, Ohio, April 1998. Llinas, J., Drury, C., Bialas, W. & Chen, A.,Studies and Analyses of Vulnerabilities in Aided Adversarial Decision Making, Technical Report AFRL/HE-WP-TR-1998-0099, Air Force Research Laboratory, Wright-Patterson Air Force Base, Ohio, February 1998. McCloskey, M. J., & Stanard, T., â€œA Red Team Analysis of the Electronic Battlefield: A Cognitive Approach to Understanding How Hackers Work in Groups,â€�Proceedings of the Human Factors and Ergonomics Society 43rd Annual Meeting, September 27 â€“ October 1, 1999. Pliske, R., Klinger, D., Hutton, R., Crandall, B., Knight, B., & Klein, G.,Understanding Skilled Weather Forecasting: Implications for Training and the Design of Forecasting Tools, Contractor Report, AL/HR-CR-1997-0003, Armstrong Laboratory, Brooks Air Force Base, Texas, June 1997. Widnall, Secretary of the Air Force S., and Chief of Staff of the Air Force Gen R. Fogleman, Global Engagement: A Vision for the 21st Century Air Force, 1996. Shalikashvili , Gen J. M., Chairman of the Joint Chiefs of Staff, Joint Vision 2010:Americaâ€™s Military Preparing for Tomorrow, 1996. Stein, G. J.,Information Warfare, in Campen, Dearth, and Gooden (Editors), Cyberwar: Security, Strategy, and Conflict in the Information Age (Fairfax, VA: AFCEA International Press, 1996), 175-183. Whitaker, R. D., & Kuperman, G. G.,Cognitive Engineering for Information Dominance: A Human Factors Perspective, Technical Report, AL/CF-TR-1996-0159, Armstrong Laboratory, Wright-Patterson Air Force Base, Ohio, October 1996. 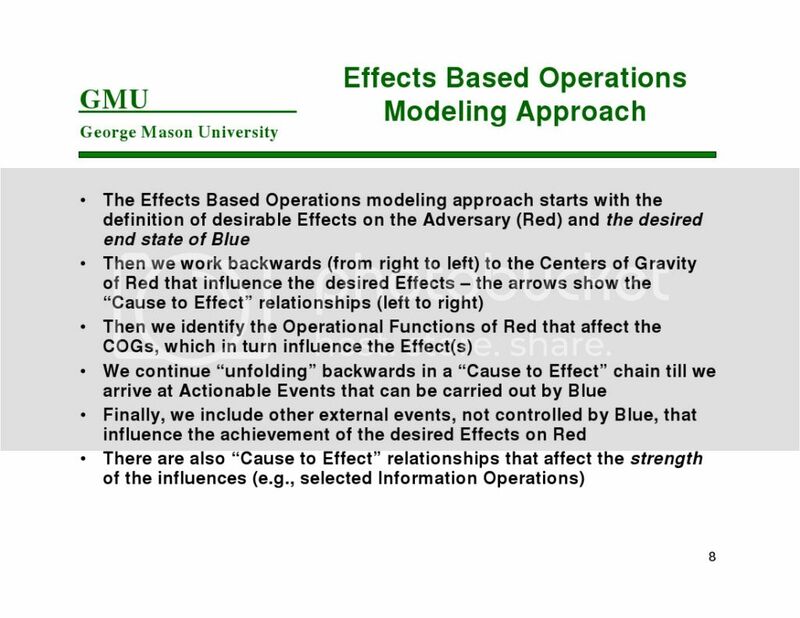 Mr. Gilbert G. Kuperman is assigned as Principal Mathematician in the Information Analysis and Exploitation Branch, Crew Systems Interface Division, Human Effectiveness Directorate of the Air Force Research Laboratory. He has authored more that 140 papers, reports and journal articles. He has been awarded 10 United States patents. Scott M. Brown, Capt. USAF, Ph.D.
Captain Brown is an artificial intelligence researcher assigned to the Information Analysis and Exploitation Branch, Crew Systems Interface Division, Human Effectiveness Directorate of the Air Force Research Laboratory. He received his Ph.D. in Computer Engineering at AFIT in 1998. His current research interests include user-interface agents, interface agent development environments, expert systems, and information management systems. Dr. Whitaker is a Senior Scientist with Logicon Technical Services, Inc., supporting the Information Analysis and Exploitation Branch, Crew Systems Interface Division, Human Effectiveness Directorate of the Air Force Research Laboratory. His research specialties include collaborative information technologies and human interactivity in cyberspace. U.S. Northern Commandâ€™s essential mission is to defend the homeland. NORTHCOM achieved full operational capability on 1 October 2003. As NORTHCOMâ€™s Army component and Joint Force Land Component Command, U.S. Army Forces Command (FORSCOM) provides critical planning activities and command-and-control functions for operations throughout the area of responsibility. In support of Operation Noble Eagle, Soldiers have or are currently guarding airports, military installations of the various services, nuclear power plants, dams, power-generation facilities, tunnels, bridges, rail stations and emergency operations centers. Ground-based air defense artillery units from both the active component and the ARNG continue to assist the North American Aerospace Command (NORAD) in the National Capital Region. Additionally, we are preparing units to employ new, active, missile-defense capabilities (see Addendum E). The Army also maintains reaction forces, on a graduated response posture. They are prepared to support any homeland defense mission, to help in consequence management and to fulfill the DoD Civil Disturbance Plan. NORTHCOM maintains an extensive planning and exercise program focused on sharpening the skills required to deter threats against our homeland or to provide support to civil authorities. As the joint forceâ€™s integrator, Joint Forces Command relies heavily on the Army. After September 11, in its role as the Army service component command to JFCOM, FORSCOM conducted the largest mobilization of Army National Guard and Army Reserve forces since the Korean War. In addition to supporting overseas operations, JFCOM deployed Soldiers to execute homeland defense missions, civil support missions and force protection requirements associated with Operation Noble Eagle. As part of JFCOMâ€™s training and experimentation requirements, in 2003 Army units took part in National Training Center and Joint Readiness Training Center rotations. Additionally, units participated in a series of experimentation war games, such as Millennium Challenge. JFCOM and Army Training and Doctrine Command co-sponsored this yearâ€™s Army Transformation War Game, Unified Quest 03, at Carlisle Barracks, Pennsylvania. The Global War on Terrorism places a significant burden on Americaâ€™s military, wherever they serve. In the CENTCOM area of responsibility, the Army has assumed the heaviest load. Since October 2001, Soldiers have made vital contributions to the joint team as part of Operation Enduring Freedom in Afghanistan. In Operation Iraqi Freedom, active and reserve component Army forces played a monumental role in the defeat of Saddam Husseinâ€™s armed forces. CENTCOM is currently executing the largest rotation of forces since WWII as we rotate troops in and out of its area of responsibility. In addition to operations in Afghanistan and Iraq, Army Soldiers are part of CENTCOMâ€™s efforts to deter terrorism in the Horn of Africa. They also support long-standing missions, such as the Multi-National Force and Observers (MFO) in the Sinai. Army units from Europe were, and continue to be, instrumental in the liberation of Iraq and the success of OIF. Soldiers based in Germany and Italy demonstrated the Armyâ€™s expeditionary capabilities by deploying to the Persian Gulf region. V Corps provided combat, combat support and combat service support units to the joint force effort that thrust more than 500 kilometers from the Kuwaiti border into the heart of Baghdad. In addition to these accomplishments, Europe-based Soldiers simultaneously supported OEF in Afghanistan; provided the bulk of U.S. forces in Kosovo Peace Implementation Force (KFOR) rotations 4A and 4B; and sustained other EUCOM commitments. The Army continues to shoulder the demands of Operation Joint Forge, as members of the Stabilization Force (SFOR) in Bosnia and Herzegovina; and Operation Joint Guardian, as part of NATOâ€™s Kosovo peace implementation force. Army National Guard units, in particular, play a major role in, and provide leadership for, SFOR and KFOR. Soldiers also took part in Operation Joint Task Force Liberia, supplying SOF, headquarters and medical personnel. Within the Asia-Pacific region, the Army conducts a variety of critical missions for U.S. Pacific Command. U.S. Army Pacific (USARPAC) functions as the joint force headquarters responsible for homeland defense/civil support missions on all bases and in all U.S. territories within the PACOM area of responsibility. USARPAC provides trained and ready forces in support of security operations, from engagement to warfighting; these troops promote regional stability, and ensure successful crisis response and decisive victory. For OEF-Philippines, USARPAC manages the intermediate staging base and provides the in-country, joint logistics support element. In Korea, Eighth U.S. Army Soldiers fall under the Combined Forces Command and stand ready with our United Nationsâ€™ partners to deter North Korean aggression. Beyond the PACOM area of operations, USARPAC supports OEF and OIF by providing trained and ready Army rotational forces from bases in Alaska, American Samoa, Guam, Hawaii and Japan. Under PACOMâ€™s Theater Security Cooperation Program, Army units participate in major joint and multinational exercises, which strengthen bilateral ties and promote multilateral engagement. More than a half dozen partner nations, such as Australia, India, Korea, and Japan, participate in these exercises. Southern Command's area of responsibility encompasses the vital southern and maritime approaches to the United States and many of our closest neighbors. The Army is fully engaged in fighting terrorism, promoting democracy and securing regional stability as a member of the joint team. By providing the service component headquarters for the mission at Guantanamo Bay, Cuba, Soldiers supply critical support to the Global War on Terrorism. Elsewhere in the region, they aid the government of Colombia in its war against narco-terrorist organizations; in the elimination of drug production; and in the establishment of security and stability. Our Soldiers at Joint Task Force Bravo (JTF-B) at Soto Cano Airbase in Honduras provide strong support for regional security missions in Central America. The missions are joint, combined, and interagency in nature and act in coordination with U.S. Embassy country teams. Additionally, JTF-B provides humanitarian assistance, disaster relief, regional search and rescue, and contingency operations as required. Reserve component units conduct security-cooperation and other operations in the hemisphere, to include: training partner-nation militaries; participating in officer exchanges; constructing schools and clinics; drilling wells; and providing medical, dental and veterinary services to selected countries. Soldiers also work closely with our neighbors during multinational exercises that improve hemispheric security and the homeland security of the United States. Soldiers from the Armyâ€™s Special Operations Forces (SOF) continue to serve as a vital component of the joint special operations team of SOCOM. Demand for their services is growing as the Global War on Terrorism proceeds and the Army and joint team prepare to meet future security challenges. SOF Soldiers were instrumental in the success of OEF and OIF; Army Special Forces worked closely with our conventional forces to accomplish many tough missions. SOF Soldiers, including psychological operations elements and civil affairs forces, continue to play a key role in Afghanistan and Iraq operations. Army Special Forces also were an integral part of Operation Joint Task Force Liberia and are the key element of Plan Colombia. SOF Soldiers train, advise and assist many foreign militaries, including the armed forces of the Philippines and the Republic of Georgia. To ensure that we continue to recruit and retain sufficient personnel, we are monitoring the current environment and its impact on morale, unit cohesiveness and combat effectiveness. The challenges we face in FY04 and FY05 are twofold. First, we must optimize recruiter productivity. Second, we must make the best use of our recruiting resources to maintain momentum when the economy becomes more robust. Properly resourcing recruiting pays dividends well beyond accessions in the year of execution. 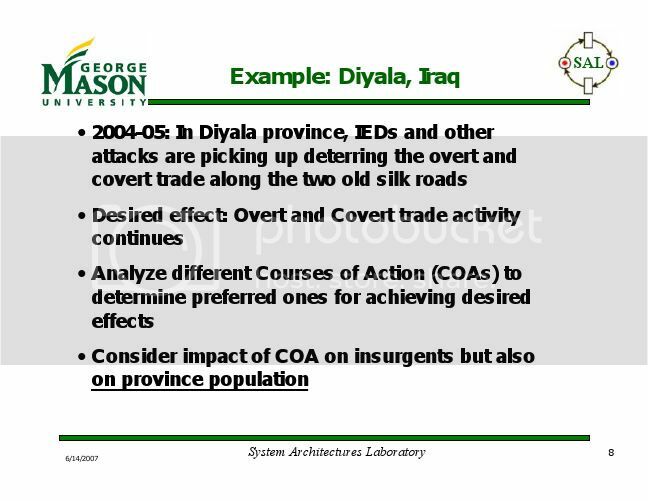 For example, Army advertising in FY03 influenced not only FY03 recruits, but also potential candidates who will make enlistment decisions in FY04 and later. We attribute the success achieved in recruiting so far to a series of programs described below. Recruiting Incentives: Incentives, including the Enlistment Bonus Program, The Army College Fund, and the Loan Repayment Program, enabled the Army to execute precision recruiting in FY03. At a time when the Army is engaged in the GWOT and executing missions such as Operation Enduring Freedom and Operation Iraqi Freedom, recruiting successes have directly supported combat readiness. Special Forces Candidate (18X) â€œOff the Streetâ€� Enlistment Initiative: This effort enlists highly motivated, qualified and dedicated individuals, who desire the adventure and mission focus inherent in the U.S. Army Special Operations Forces. There were 465 enlistments in FY02 and 1,022 in FY03. The FY04 goal is 1,500.
â€œCollege Firstâ€�: First-year applicants receive a $250 per month allowance and second-year applicants receive a $350 per month allowance while attending up to two years of post-secondary education on campus in a full-time status prior to beginning active duty. There were 380 enlistments for this test through FY01, 579 in FY02 and 1,064 in FY03. This test program will continue in FY04. Army Motor Sports Program: In FY03, the Armyâ€™s partnership with the National Hot Rod Association (NHRA) and the National Association of Stock Car Automobile Racing (NASCAR) continued. Schumacher Racing joined the Armyâ€™s NHRA team with a fuel dragster called â€œThe Sarge.â€� The Army also added two, top professional stock bike racers: Angelle Savoie, the woman with the most wins in NHRA history; and Antron Brown. The Partnership for Youth Success (PaYS): This program provides Americaâ€™s youth with an opportunity to serve their country while preparing for their future. Soldiers acquire technical skills required by industry and learn professional ethics, teamwork, communication and leadership during an enlistment in the Army. A comprehensive database, matching company needs with the Initial Entry Training job skills offered by the Army, enables the recruit to decide which firms and skills to pursue. An agreement with a specific company detailing the military skills to be acquired, the prospective civilian job and terms of service is prepared upon enlistment. After concluding his active duty tour, or for reservists upon completion of Initial Entry Training, the Soldier interviews and finishes the application process at the company selected during the recruiting process. 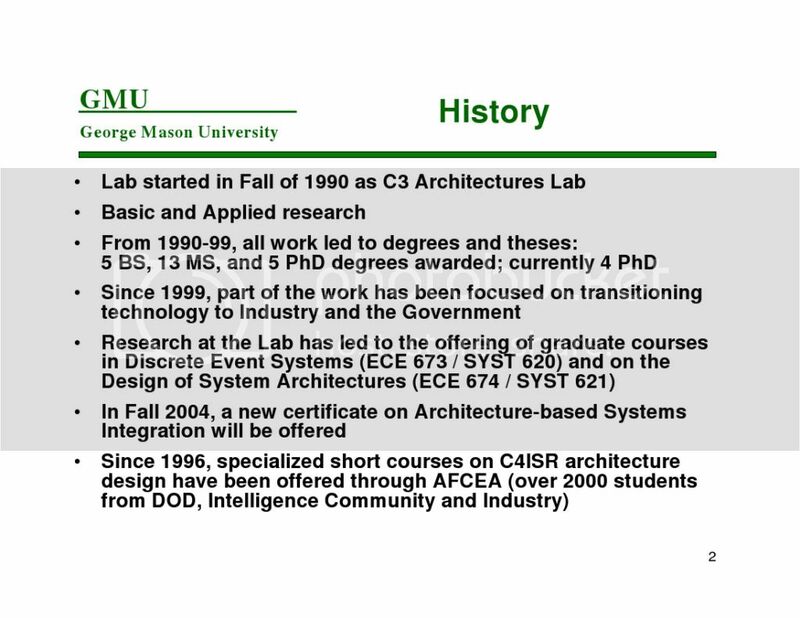 FY03 was the first year this program was offered with USAR enlistments. In FY03, 9,663 regular Army and 546 USAR Soldiers entered service under this option. Approximately 70 corporations or organizations participate in this partnership. Short-Term Enlistment Option: The Army implemented the National Call to Service enlistment option on 1 October 2003. By 1 December 2003, 50 enlistees had chosen the program. The Soldier is the centerpiece of our combat formations and is indispensable to the joint force. As people are the heart and soul of the Army, its preparedness to carry out its missions is directly linked to Soldier Well-Being. We must make every effort to ensure that the Armyâ€™s investment in its people is in keeping with the commitment and sacrifices we expect of them. Six hundred unit-level recreation kits are in theater to support both Coalition Joint Task Force-Iraq (CJTF-7) and Operation Enduring Freedom. Fitness and recreation facilities are operational at 20 large, enduring camps in the CTJF-7 area of responsibility. Fitness equipment will be placed at 40 other smaller sites. The Community and Family Support Center and CJTF-7 have purchased equipment for Internet cafes and Internet access is free. The cost for satellite phones has been greatly minimized to just five cents per minute. Stars & Stripes is being printed in Baghdad and 800 book kits are being shipped each month. Army Community Service (ACS) Family Readiness personnel conduct training to help families respond to deployments. In FY 2003, ACS gave 2,400 pre-deployment briefings to more than 244,000 Soldiers and family members; 1,100 post-deployment briefings to 77,000 Soldiers and family members; 1,600 Family Readiness Group training sessions to 50,000 Soldiers and family members; more than 200 Family Readiness Liaison Officer training sessions to 12,700 Soldiers; and 176 Rear Detachment Commander training sessions to 4,300 Soldiers and family members. Child and Youth Services at 64 installations provided more than 260,000 hours of extended childcare to 23,000 children and teenagers. This extra care supported Soldiers and family members, who attended ACS training sessions or worked extended hours and provided respite for spouses of deployed Soldiers. The Army formally unveiled the Spouse Employment Partnership on 7 October 2003 at the Association of the United States Army annual meeting. The Assistant Secretary of the Army for Manpower and Reserve Affairs and senior executives from 13 Fortune-500 companies signed a statement of support aimed at enhancing employment opportunities for Army spouses. This is a significant milestone for Army spouses, as employment opportunities available to them are a prime consideration in retention decisions. Participating companies include: Army Air Force Exchange Service (AAFES), BellSouth, Boys & Girls Clubs of America, Computer Sciences Corporation, CVS Pharmacy, Dell Inc., Home Depot, Hospital Corporation of America, Lockheed Martin, Manpower Inc., Sears Logistics Services, Sprint and Merck & Company. Additionally, there are two military partners: the Army Career and Alumni Program (ACAP) and the Civilian Human Resources community. The Army is still working to encourage states to grant in-state tuition in both the place of official residence and the place of assignment; and to establish continuity of the benefit until graduation for the children of Soldiers, who transfer to another state following matriculation. We are making progress; Texas and Georgia recently passed legislation to cover both in-state tuition and continuity of the benefit upon reassignment. In response to SETS findings, a memorandum of agreement (MOA) to facilitate participation of school superintendents in improving high school transition for DoD children was signed. The agreement is global and provides a common structure for information sharing and reciprocal processes. In collaboration with the MOA signatories, an Army-wide action plan to improve high school transition was developed. This plan, along with other information, can be found at the Military Child Education Coalition web site. These new centers assist National Guard and Reserve Soldiers in finding jobs when they return home from deployment. While many Soldiers resume their former positions, some find the employment on which they were counting is no longer there; companies go out of business or relocate. Sometimes, the Soldier discovers he has outgrown the previous job. The centers work closely with the Department of Labor, state employment offices and the Department of Veterans Affairs to help make the transition back to civilian life as quick and trouble-free as possible. Families left behind and returning Soldiers receive much-needed support, especially during the transition from the stressful environment of combat operations to the more traditional garrison lifestyle. A crucial part of this support is the â€œArmy One Sourceâ€� (AOS), a toll-free 24/7 phone service. This program provides information and referrals to Soldiers, deployed civilians and their family members, and is available stateside as well as overseas. Within the continental United States, AOS offers up to six, prepaid counseling sessions. The highly qualified staff can address a variety of subjects, from TRICARE to childcare. The Army Surgeon General has a unique web site for Soldiers and others to obtain information about maintaining a healthy lifestyle. This interactive web site is loaded with health and wellness tips focused on self-awareness and self-discipline tools used to make essential lifestyle changes that can improve oneâ€™s quality of life. DFAS this year implemented significant improvements to â€œmyPay.gov.â€� Soldiers, civilians, retirees and annuitants can view their leave and earnings statements and other valuable information via this web site. Due to the extended Global War on Terrorism and increased reliance on Guard and Reserve Soldiers, Congress has approved enrollment eligibility to TRICARE Prime for family members whose Soldier is on federal active duty for more than 30 days. This program is designed to reduce the anxiety of deployed reserve component Soldiers regarding their familyâ€™s health care. The latter effort has resulted in the disposal of 34 percent of Army facilities, which will allow reallocation of resources to other, higher priority requirements. The Army also is divesting itself of the operation and maintenance of non-core utility systems through privatization. To date, 84 of 350 systems have been privatized, with another 211 under negotiation or contract development. The Army must strive to provide distance-learning solutions that facilitate the delivery of the right information and skills to the right people at the right time. eArmyU goes where Soldiers go. It is a smart, streamlined and effective learning opportunity that, due to its unique portal technology, advances the Army into the rapidly developing e-learning market. In creating eArmyU, the Army enhanced traditional Army distance-learning programs and services with an anytime, anywhere program that ensures eligible enlisted Soldiers can fulfill their educational goals. Administered by the Army Continuing Education System (ACES), key objectives of eArmyU are to improve well-being, to increase retention and to enhance readiness by providing learning opportunities that develop the critical thinking and decisionmaking skills required on todayâ€™s battlefields. By leveraging the technology provided through the worldâ€™s largest education portal -- http://www.earmyu.com/ -- Soldiers currently access curricula at more than 27 regionally accredited universities that offer virtual classrooms and libraries, academic advisement, and administrative and technical support. Together, these institutions offer Soldiers a choice of 147 different degree programs. eArmyU is currently available at 14 installations, and more than 40,437 Soldiers are now enrolled in the program. As of 14 Oct 2003, more than 9,976 Soldiers had permanently changed duty stations from their original enrollment installations but continue to participate in eArmyU from locations worldwide, including 46 countries, four U.S. territories and 50 states. Missile Defense is a vital warfighting requirement for protecting our homeland, deployed forces, friends and allies. It consists of both ballistic and cruise missile defense capabilities, which are achieved through a joint integrated system consisting of satellite sensors; early warning and fire control sensors; command and control centers; and missile platforms. Ballistic Missile Defense (BMD) efforts must be focused on all phases of missile defense operations: the boost phase, the mid-course phase, and the terminal-phase. Cruise Missile Defense (CMD) must be joint, integrated and have a wide-area scope attained via singular or networked sensors, which can be elevated, ground-based, airborne or space-based. They must also take advantage of integrated fire control to take full advantage of the kinematic range of joint missiles. Missile Defense is a joint capability to which the Army is a major contributor. National Security Presidential Directive (NSPD) No. 23 directs the deployment of a set of missile defense capabilities in 2004. The Army is in the process of fielding an initial defense capability: the Ground-based Midcourse Defense System. Based in Alaska and California, it will provide the initial set of defense capabilities needed to protect the homeland against missiles in the midcourse flight range. This system will evolve to meet the changing threat and to take advantage of technological developments; in the future it will be integrated with the Armyâ€™s Theater High Altitude Area Defense (THAAD) and other systems operated by sister services. The ARNG activated units in both Colorado and Alaska to support this mission. The Army is continuing to deploy the Patriot Advanced Capability-3 (PAC-3) missile system to counter theater missiles in their terminal flight phase. In addition, the Army is examining options to field incrementally the Medium Extended Air Defense System (MEADS) within existing Patriot forces as a means to improve Army terminal defense warfighting capabilities and to accelerate the overall MEADS fielding process. MEADS will provide a more mobile, deployable, CMD-capable system with wider coverage. The Army, with the concurrence of the Joint Staff, is accelerating its CMD capability to meet the emerging cruise missile threat. The critical components include the Joint Land Attack Cruise Missile Defense Elevated Netted Sensor System (JLENS), the Surface Launched Advanced Medium-Range Air-to-Air Missile (SLAMRAAM), and integrated fire control. JLENS will provide an elevated, enduring, wide-area surveillance and fire control sensor to the Joint Force. Army air defense artillery units, from both the AC and ARNG, also are supporting the air defense of the National Capital Region. Both components operate ground-based air defense weapons and surveillance systems. Title 50, United States Code, section 1521 directs DoD to destroy the United States' chemical weapons stockpile. This statute also provides for the establishment of a management organization within the Department of the Army to carry out this mission. Effective 18 February 2003, the Secretary of the Army transferred department oversight of the chemical demilitarization program from the Assistant Secretary of the Army (Installations and Environment) to the Assistant Secretary of the Army (Acquisition, Logistics and Technology); and directed establishment of the Chemical Materials Agency to execute the program for chemical weapons storage and demilitarization. In November 2000, the Johnston Atoll Chemical Agent Disposal System completed the destruction of the last munitions stored at the atoll, and closure operations were completed in November 2003. The Tooele Chemical Agent Disposal Facility in Utah has incinerated 44 percent of the chemical agents and 82 percent of the munitions stored there. The incineration facility at Anniston, Alabama, began destruction operations in August 2003 and has destroyed more than 45 tons of chemical agents. Incineration facilities at Umatilla, Oregon, and Pine Bluff, Arkansas, are expected to begin destruction operations in 2004. The accelerated neutralization of the bulk chemical agent stockpile in Aberdeen, Maryland, began in April 2003; completion is expected in 2004. Accelerated disposal of bulk agents using a neutralization process at Newport, Indiana, is scheduled to commence in 2004. To date, the Army has destroyed more than 8,250 tons of chemical agent, some 26.2 percent of the United Statesâ€™ stockpile. For the Non-Stockpile Chemical Materiel Product, all Chemical Weapons Convention (CWC) requirements have been met to date and the Product is on track to meet future CWC milestones. Demolition of the former production facility at Aberdeen, Maryland, is complete and demolition is ongoing at the former production facilities in Newport, Indiana, and Pine Bluff, Arkansas. The Mobile Munitions Assessment System (three each); the Rapid Response System (one each); the Single CAIS Access and Neutralization System (multiple units); and the Explosive Destruction System (three each) are deployable to assess and dispose of recovered chemical warfare materiel. On 16 July 2002, the Defense Acquisition Executive (DAE) approved neutralization followed by bio-treatment as the technology for destruction of the chemical agent stored at Pueblo, Colorado. On 3 February 2003, the DAE approved neutralization followed by supercritical water oxidation as the technology for destruction of the chemical agent stored at Blue Grass, Kentucky. These technologies were demonstrated under the Assembled Chemical Weapons Alternatives (ACWA) Program pursuant to section 8065 of PL 104-208 and section 142 of PL 105-261. In accordance with these statutes, the Program Manager for Assembled Chemical Weapons Alternatives administers these programs under the direction of OSD. In October 2003, the Executive Council of the Organization for the Prohibition of Chemical Weapons (OPCW) granted the U.S. State Departmentâ€™s request to extend the 45 percent destruction milestone for the United Statesâ€™ CWC Category 1 chemical weapons from 29 April 2004 to 31 December 2007. The Army will continue its efforts to improve business practices and processes in order to make the best use of valuable resources and to provide the finest support possible for Soldiers. Coupled with the ongoing imperative to balance investments between current and future readiness, these measures represent the soundest approach to reducing risks today while still allowing for the greatest investment in improved capabilities for tomorrow. Many of our initiatives are designed to leverage resource investment and over time to improve the Armyâ€™s capabilities. The Army seeks ways to employ existing capabilities more effectively and to integrate new capabilities more rapidly into the force. 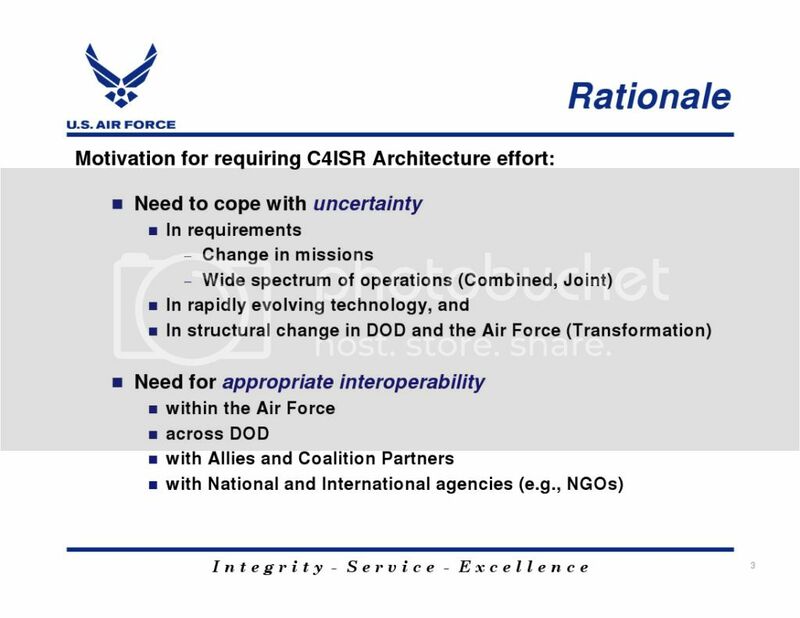 For example, the Strategic Readiness System (SRS) enables a results-oriented process whereby resources can be allocated not only on the basis of perceived needs, but also according to what actually is being accomplished. The Army has started to install comprehensive, integrated and interoperable human-resource programs, policies and procedures. In FY03, the Army merged the Active- and Reserve-Component personnel commands into a single entity, the Human Resources Command (HRC). The Civilian Human Resources Agency (CHRA) eventually will merge into HRC, as well. Industrial Base Strategic Initiatives -- Diverse strategy with common emphasis on implementing lean philosophy and on pursuing public-private partnerships to improve efficiency, to optimize utilization and to upgrade core capabilities. Ground Systems Industrial Enterprise (GSIE) -- Initiative by the Tank-Automotive and Armaments Command to transform the core capabilities at specific installations and to foster additional partnering arrangements with industry and the field. Performance Based Logistics (PBL) -- Part of the OSD Acquisition Reform, which emphasizes solutions as opposed to process. Simulations and Modeling for Acquisition, Requirements and Training (SMART) Initiative -- Will allow the Army to address the Future Force within the framework of emerging joint concepts and will lead to a better understanding of the capabilities required for the Future Force. Army Knowledge Online (AKO) -- Provides an information-sharing service from fixed installations to deployed elements and serves as the Armyâ€™s intranet, supplying a single-access source of information to Department of the Army personnel. AKO leverages the Armyâ€™s intellectual capital to better organize, train, equip and maintain the force. The Army enterprise Human Resource System (eHRS) -- Converts more than 200 human resource systems into a single, web-based system. It includes the Defense Integrated Military Human Resource System (DIMHRS), a DoD directed software capability based on a commercial off-the-shelf (COTS) management system. eHRS includes modules that provide additional capabilities not available though DIMHRS and is needed for the Army to manage its workforce. The Senior Leadership of the Army has established the following immediate focus areas to channel Army efforts on winning the Global War on Terrorism and increasing the relevance and readiness of the Army. The Soldier â€“ Develop flexible, adaptive and competent Soldiers with a Warrior Ethos. The Bench â€“ Prepare future generations of senior leaders. Identify and prepare select Army leaders for key positions within joint, interagency, multinational and Service organizations. Combat Training Centers/Battle Command Training Program â€“ Focus training at CTC and BCTP to meet requirements of current security context, and Joint and Expeditionary Team. Leader Development and Education â€“ Train and educate Army members of the Joint Team. Army Aviation - Conduct a holistic review of Army Aviation and its role on the Joint battlefield. Current to Future Force â€“ Accelerate fielding of select Future Force capabilities to enhance effectiveness of Current Force. Army transformation is part of constant change. The Network â€“ Leverage and enable interdependent, network-centric warfare. Modularity â€“ Create modular, capabilities-based unit designs. Joint and Expeditionary Mindset â€“ Retain our campaign qualities while developing a Joint and Expeditionary Mindset. Active Component/Reserve Component Balance â€“ Redesign the force to optimize the Active and Reserve Component (AC/RC) mix across the defense strategy. Force Stabilization â€“ Improve combat readiness and deployability of units while providing increased stability and predictability to Soldiers and their families. Actionable Intelligence â€“ Provide situational understanding to Commanders and Soldiers with the speed, accuracy and confidence to impact current and future operations. Installations as Our Flagships â€“ Enhance installation ability to project power and support families. Authorities, Responsibilities, and Accountability â€“ Clarify roles and enable agile decision-making. Resource Processes â€“ Redesign resource processes to be flexible, responsive, and timely. Strategic Communications â€“ Tell the Army Story so that the Armyâ€™s relevance and direction are clearly understood and supported. As the Army evolves into a capabilities-based organization, it is leveraging the emerging joint concepts under development by the Joint Staff and the Combatant Commands to help focus transformation efforts. Joint concepts serve as the engine of change for future military capabilities. Joint concept development occurs within an evolving framework that includes the overarching Joint Operations Concept (JOpsC), four supporting Joint Operating Concepts (JOCs), and associated functional and enabling concepts. The JOpsC describes how the joint force intends to operate 15 to 20 years in the future across the entire range of operations. It provides the operational context for transformation, linking strategic guidance with the integrated application of joint force capabilities. The JOCs describe how the future joint force will operate within the specific range of military operations and identify how the joint force commander will meet selected contingencies. These JOCs also delineate the operational capabilities needed for joint warfighting. The Army assists in formulating these concepts and leverages them to help focus its own capabilities development. The four JOCs are Major Combat Operations, Stability Operations, Homeland Security and Strategic Deterrence. Within the operational environment, Army forces are designed, organized and trained to provide Combatant Commanders full-spectrum, land-power capabilities for responsive and successful execution of JOCs. Further, Army forces must be capable of rapidly transitioning between mission sets, tasks and conditions inherent in the JOCs. It is essential to recognize that each JOC is not a stand-alone operation and that JOCs usually occur simultaneously, whether in multiple regions, in a single joint operations area (JOA), or both. The Army, as part of the Joint Team, must retain the capacity to support global operations while maintaining the ability to rapidly and seamlessly transition to meet new and changing requirements. Annex B of the Army Strategic Planning Guidance establishes the strategic basis for prioritizing Army capabilities to best contribute to the joint capabilities and methods required to meet Combatant Commander requirements. 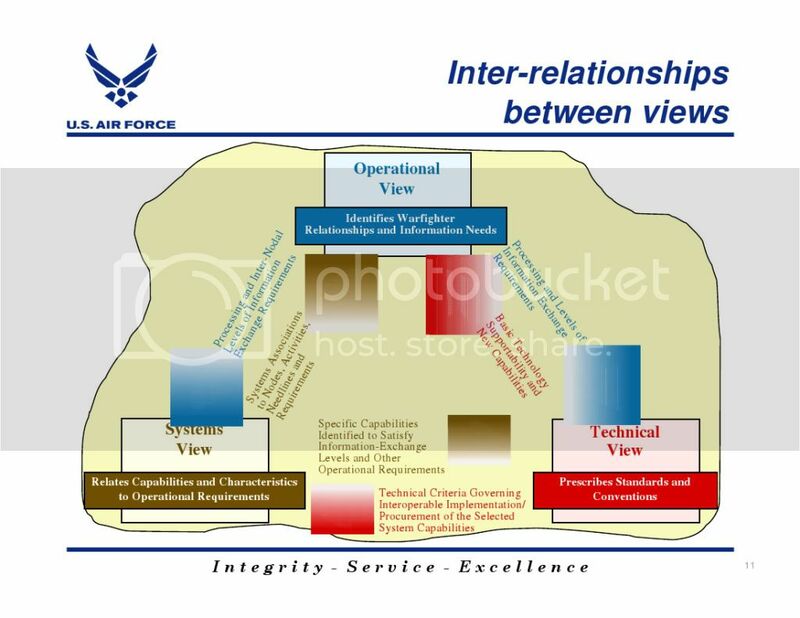 Joint Functional Concepts complement the JOCs and serve to help focus capability development. While each of the JOCs is focused on a particular type of future operation, the functional concepts describe approaches to providing a particular military capability across the range of operations. The five functional concepts are Command and Control, Battlespace Awareness, Force Application, Focused Logistics and Protection. 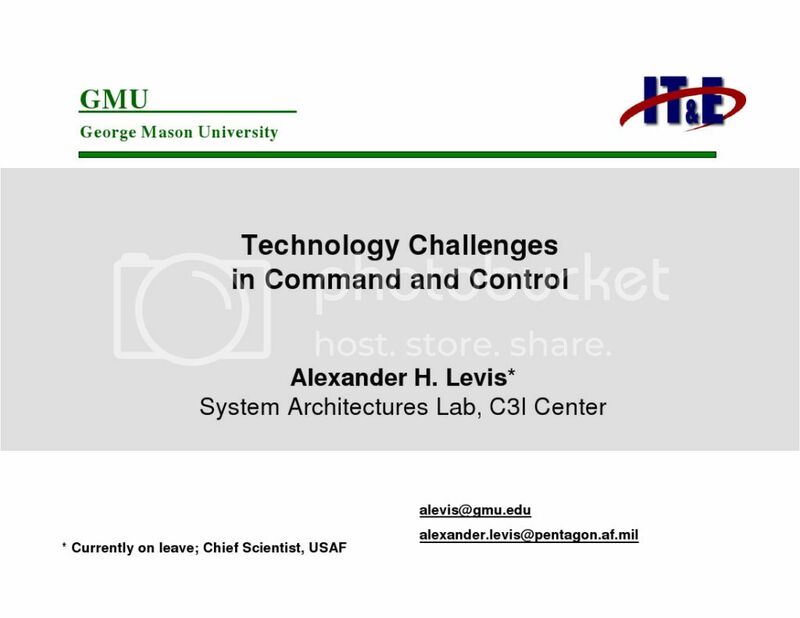 Army Command and Control (Army C2) is a critical enabler for, and a fully interoperable component of, joint command and control (JC2). Army C2 consists of two components: Army Battle Command (cognitive and technical aspects) and the Army network component of the Global Information Grid. Fully networked battle command capabilities are the bridge from the Current to Future Force and enable the joint force commander to conduct fully interdependent, network-centric warfare. The Army views battle command, the art and science of applying military leadership and decision-making, as the essential capability that facilitates the conduct of joint operations. Enabled by C4 and intelligence, surveillance and reconnaissance, battle command enhances the commanderâ€™s ability to gain information and decision making advantages over any adversary. Further, C4 and ISR networks, empowered by the Global Information Grid (GIG), will create an inherently joint, top-down network that provides common situational awareness and improves battle command. Joint concepts of command and control and Army perspectives of battle command are complementary and commander-centric. 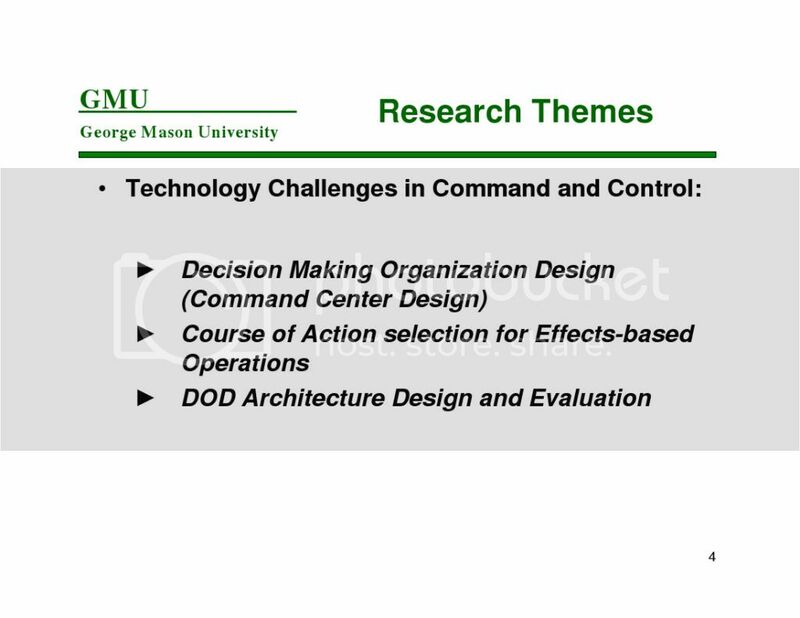 Both exploit technologies and processes to achieve advantages that allow commanders to achieve better situational understanding and decision dominance. Army battle command efforts are now integrating Future Force C2 capabilities to the existing Current Force. The Armyâ€™s fielding of advanced battle command capabilities to the Third Infantry Division during Operation Iraqi Freedom is a good example of this process. As with the overall Army transformation effort, Army battle command encompasses the entire spectrum of DOTMLPF solutions. These DOTMLPF solutions operate across two domains -- the cognitive and technical domains of Army battle command. The cognitive domain addresses the requirements of commanders to understand, respond and shape their environments. The technical domain depends on the development and fielding of improved technologies that will enable changes within the cognitive domain and battle command as a whole. The Army continues to develop its communications architecture as a member of the Joint Team with the intent of synchronizing its networked capabilities into the GIG. By exploiting the GIG, the Army benefits from the seamless, end-to-end connectivity that improves the flow of information and enables a collaborative environment. The transformation of Army communications is an inherently joint process, and the joint interdependencies cannot be overstated. Future Army networks are being designed as a fully interdependent component of the joint network. As Future Force network capabilities integrate into the GIG, the Army expects to leverage its highly mobile, self-organizing, self-healing, multilevel, secure, resilient and ubiquitous networking capabilities. When the GIG architecture is linked to transformational communications enhancements, such as dynamic radio frequency allocation, adaptable waveforms, laser communications, satellite cross-linking and fiber offloading of the space segment, then many of the existing communications constraints that tactical units encounter will be eased. Further, Army tactical C2 will develop into a seamless and comprehensive collaborative environment. Working in this collaborative environment, Army forces harness the power of the ongoing revolution in information technology to connect people and systems -- horizontally and vertically -- within the joint network. Army components of the GIG, when tied to ISR systems, will enable the Joint Force Commander to see first, understand first, act first and finish decisively. Joint Force Commanders and all force elements must understand the environment in which they operate and the adversaries they face. The Battlespace Awareness Functional Concept articulates a need for the capability to create an interactive network that is continuously synchronized with operations while simultaneously providing users both real-time and archived data. 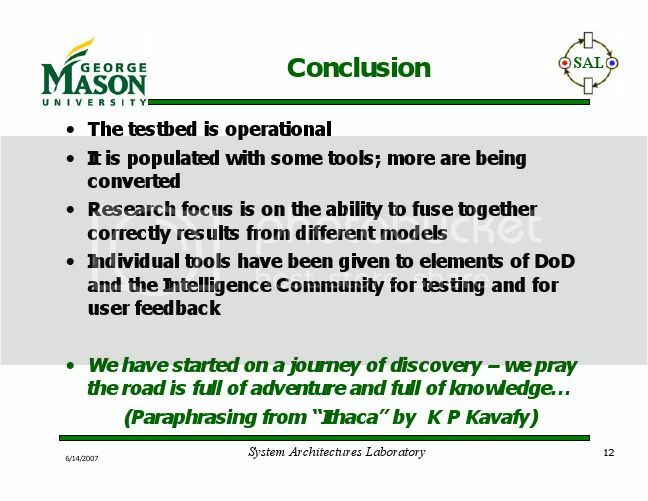 The product of these efforts is Actionable Intelligence. Army intelligence transformation represents a fundamental change to the way the Army thinks about and performs intelligence collection, analysis, production and dissemination. The new focus emphasizes the cognitive requirements of knowledge creation. Intelligence transformation changes the focus from systems and processes to solutions that improve the warfighterâ€™s understanding of the battlespace. Fused intelligence and assessment capabilities provide dominant knowledge to the commander, informing decisionmaking and enabling predictive cognizance. Intelligence transformation delivers high-quality and timely intelligence across the range of military operations. Fundamental to achieving this new capability is development of actionable intelligence that is tailored to the needs of the decision maker. Actionable intelligence allows greater individual initiative and self-synchronization among tactical units. Further, actionable intelligence allows the commander to sustain initiative and create opportunities for exploitation of information. Change Army Intelligence Culture: Create a campaign-quality, joint and expeditionary mindset through doctrine, operational and personnel policies, regulations and organizations in order to develop intelligence professionals, competent from mud to space, who know â€œhow to thinkâ€� and are focused on the commander at the point of decision. Reshape Training: Reshape training to provide the volume, variety and velocity of intelligence and non-intelligence reporting. Rapid Technology Prototyping: Develop an agile technology enterprise that enables the intelligence force to respond to a learning enemy with the best technical solutions available in real time. 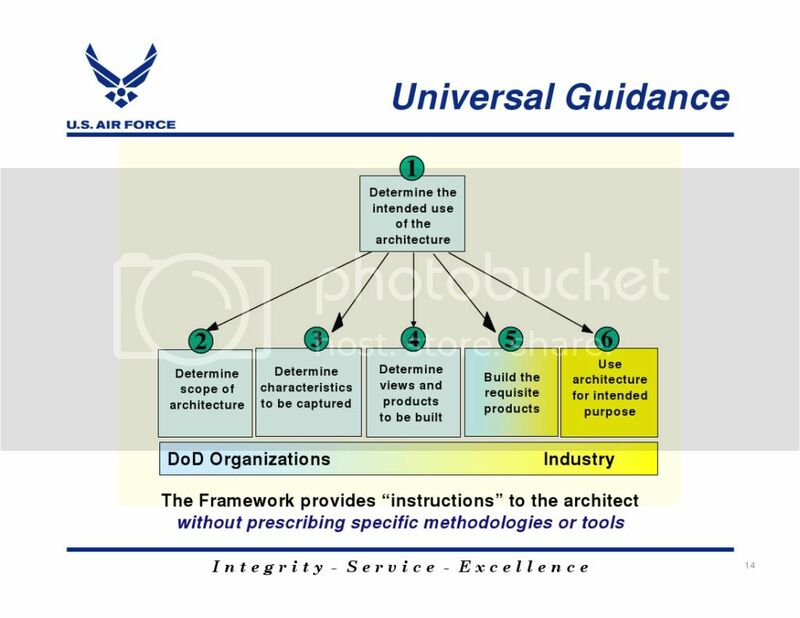 Create the Framework: Create an information and intelligence grid that is inherently joint and provides a common operating picture, universal visibility of assets, horizontal and vertical integration, and situational understanding, thereby linking every â€˜Soldier as Sensor and Consumerâ€™ to analytic centers. Enhance Tactical Echelons: Provide actionable intelligence for tactical echelons. Design modular, intelligence force packages that are easily and quickly tailored and aligned to support any battlefield or situation. Transform HUMINT and Counter-Intelligence (CI): Grow a CI and HUMINT force with a more tactical focus that provides more relevant reporting. The Army delivers materiel readiness to the Current and Future Forces as the land-power component of the joint force. Operation Iraqi Freedom (OIF) presents a view of future military operations that guides Army logistics transformation efforts. At the same time, OIF exposes shortfalls the current logistics system faces on a twenty-first century battlefield. That battlefield is both joint and combined, and it is characterized by dispersed operations, decentralized execution and increased threat to the lines of communication and traditional rear areas. In essence, OIF is a twenty-first century war supported by a twentieth century logistics system. Major improvements to airfields, seaports, railheads and strategic-lift platforms allowed Army units to deploy in record time. Expanded Army Prepositioned Stocks consisting of combat ready equipment allowed the joint force commander to build combat power in theater in a matter of days rather than weeks. The Theater Support Vessel provided the joint force commander a robust, new option for intra-theater movement. Unfortunately, the technological improvements made since Desert Storm have not been fully extended to Army logistics forces. Army logistics does not have the ability to integrate completely due to four capability shortfalls outlined below. Connect Army Logisticians: Army logistics currently lacks agile, assured and networked logistics information systems that would allow logisticians to â€œsee the requirementsâ€� in near real time; nor can the customers â€œsee the supportâ€� heading their way. Logisticians require the ability to see the requirements on-demand, 24 hours a day and 7 days a week; but, the decision-support tools necessary for sense-and-respond logistics do not exist. Additionally, both the logistician and the customer must be able to access a dedicated, logistics data network. A Modern Theater Distribution System: Logisticians today require positive control of an end-to-end sustainment system, a single doctrine and full integration across the strategic, operational and tactical levels in order to execute continuous operations over extended distances. Army logistics lacks a fully integrated and responsive distribution system enabled by in-transit and total asset visibility, which would make possible the speed and precision required in a distribution-based sustainment environment. Army logistics requires a modular, force-reception structure that quickly opens a theater and supports continuous sustainment throughout the joint operations area, including austere environments. The Army is developing a brigade-sized Unit of Action capable of deploying anywhere in the world within 96 hours. A robust, modular, theater-opening capability must be on the same deployability timeline to enable the simultaneous execution of the deploy, employ and sustain functions. An Integrated Supply Chain. The supply chain must be optimized and fully integrated for major combat operations and fully capable across the entire spectrum of operations. Actions to reduce excess inventories have been taken at many layers in the Army and national supply systems, without consideration for the total impact. The supply chain also must have a single proponent, who can reach across the breadth and depth of resources in a joint, interagency and multinational theater. Force protection consists of those actions taken to prevent or mitigate hostile actions against DoD personnel, including family members, resources, facilities and critical information. Force protection is accomplished through planned and integrated application of several security-related and supporting operations and programs including: law enforcement, physical security, protective services operations, critical infrastructure protection, information operations, crisis response, consequence management, intelligence and counterintelligence, intelligence fusion, active/passive CBRNE defense, counterterrorism and antiterrorism. Past findings and recommendations concerning force protection programs have been documented by the Cole Commission, in the Downing Report on the Khobar Towers bombing, and through field assessments by the Department of the Army Inspector General, Deputy Chief of Staff for Operations and commanders. Our force-protection priorities remain focused on: supporting operational forces and equipment already deployed and in-transit; capitalizing on threat reporting and coordination with international and national intelligence and law enforcement agencies; enhancing detection and deterrence capabilities for Chemical, Biological, Radiological, Nuclear, and Explosive (CBRNE) threats; institutionalizing installation access control for personnel and vehicles; improving policy and doctrine; strengthening training and exercises; and expanding force protection assessments. Physical security programs will continue to focus on ensuring the adequacy of: policy and programs; physical-security technology initiatives; access control; and civilian police and guard initiatives necessary to protect the individuals and property supporting worldwide Army operations. We continue to assess our critical infrastructure program to ensure adequate protection against potential threat actions. For more information on Missile Defense, see Addendum E.
Force Application is the combination of maneuver and fires, enabled by offensive information operations (IO), to accomplish the desired objective. The Army provides the Joint Force Commander the means to conduct force application through the exercise of direct, continuous and comprehensive control over terrain, resources and people. This control is critical to the synergistic and integrated application of the military instrument to compel physical or behavioral changes to potential adversaries. As a component of the joint force, the Army provides sustained land dominance through conventional and unconventional forces that use a variety of lethal, non-lethal, kinetic and non-kinetic means. In conjunction with the joint team, the Army provides full-spectrum forces able to integrate maneuver, fires and IO across the full range of military operations including: operational maneuver from strategic distances; mobile strike operations; closing with and destroying enemy forces; precision fires and maneuver; exercising information superiority; commanding and controlling joint and multi-national forces; and controlling and defending land, people and resources. When committed, ground combat forces have the capability to rob an adversary of initiative and remove his freedom to continue hostilities. Sea, air and space dominance are invaluable, but only land dominance brings hostilities to a decisive conclusion -- establishing and maintaining favorable security conditions for more comprehensive and enduring solutions to complex crises.